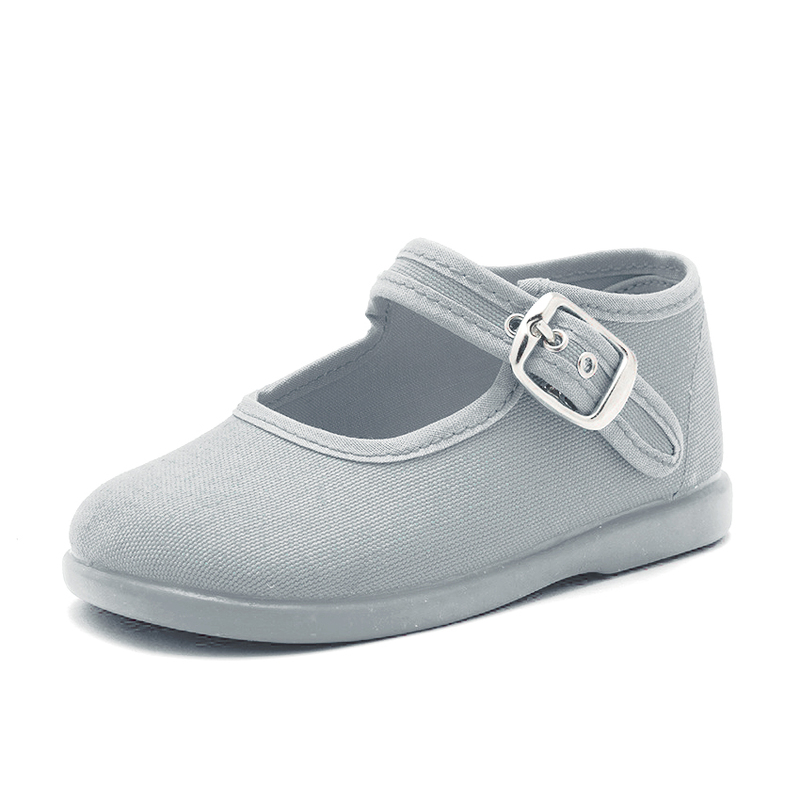 Girls canvas Mary Janes, ideal for spring and summer. 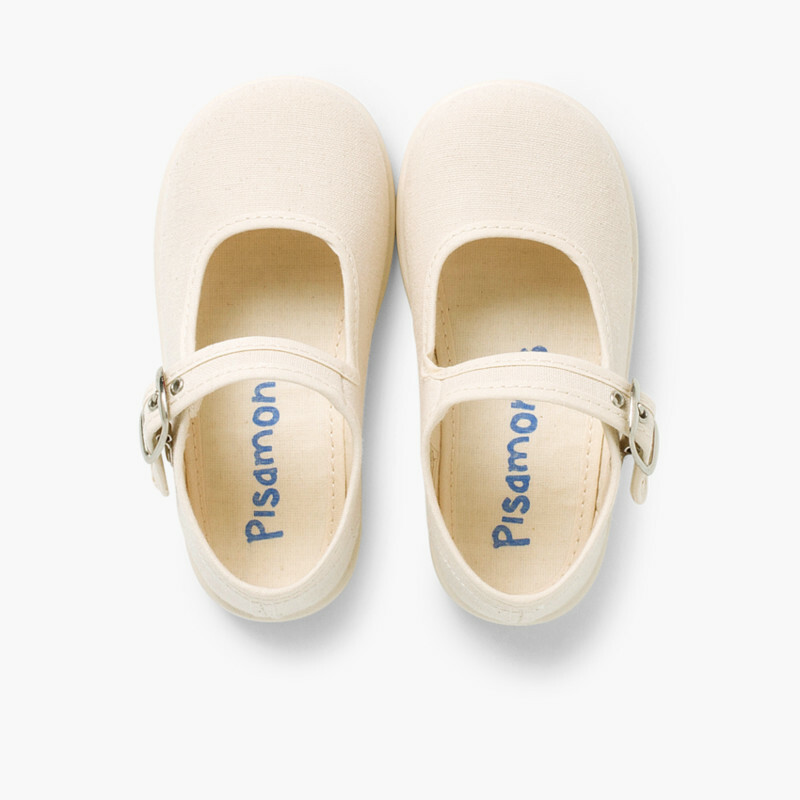 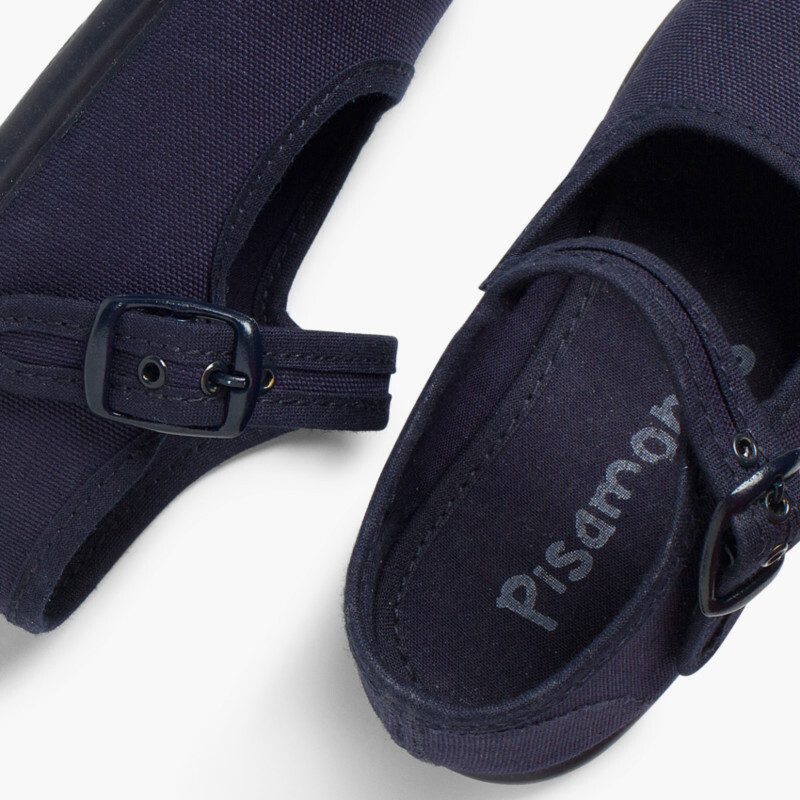 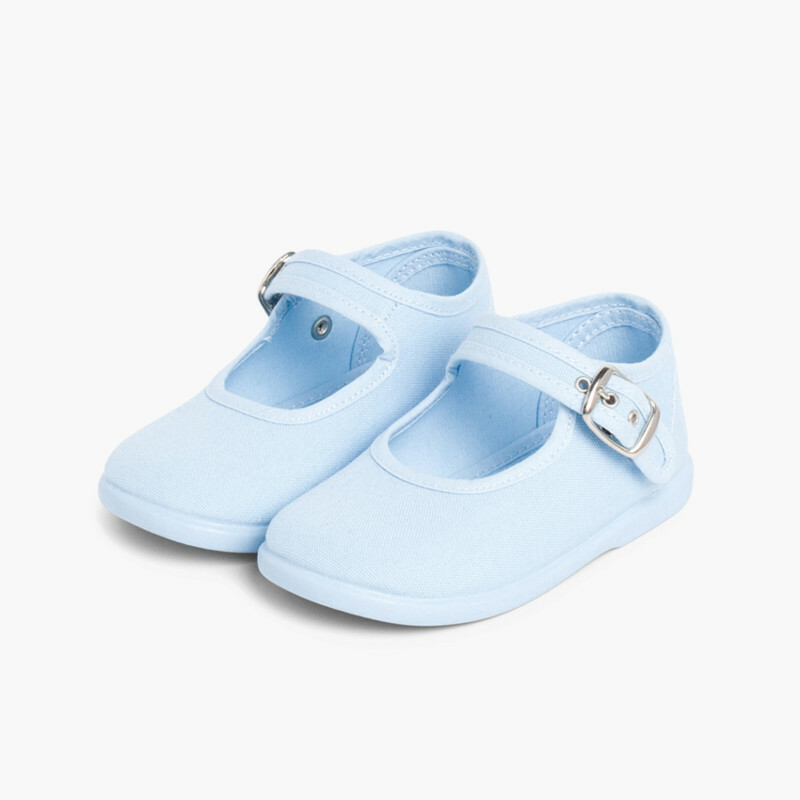 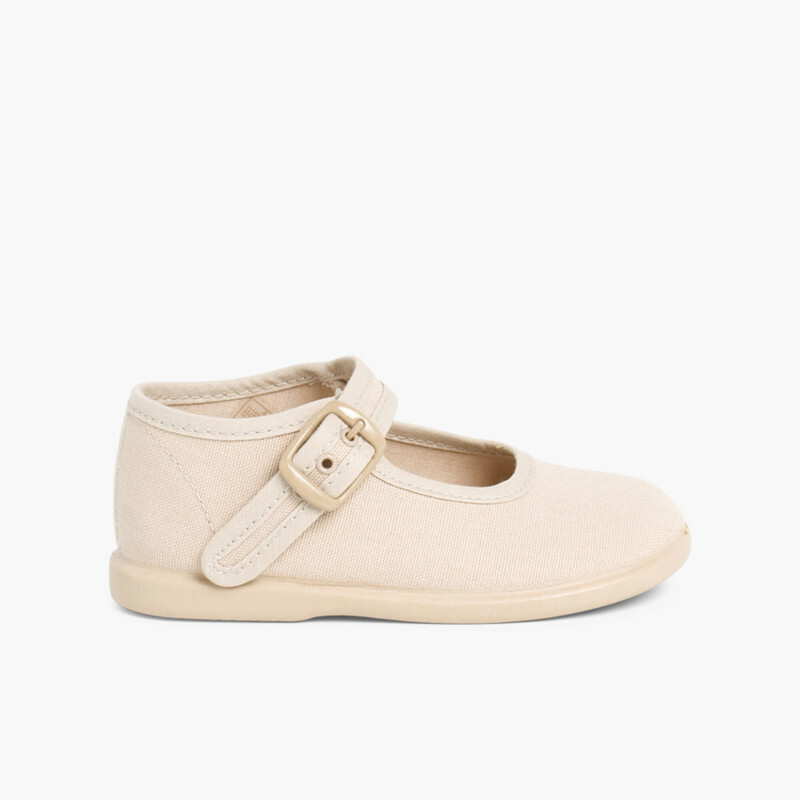 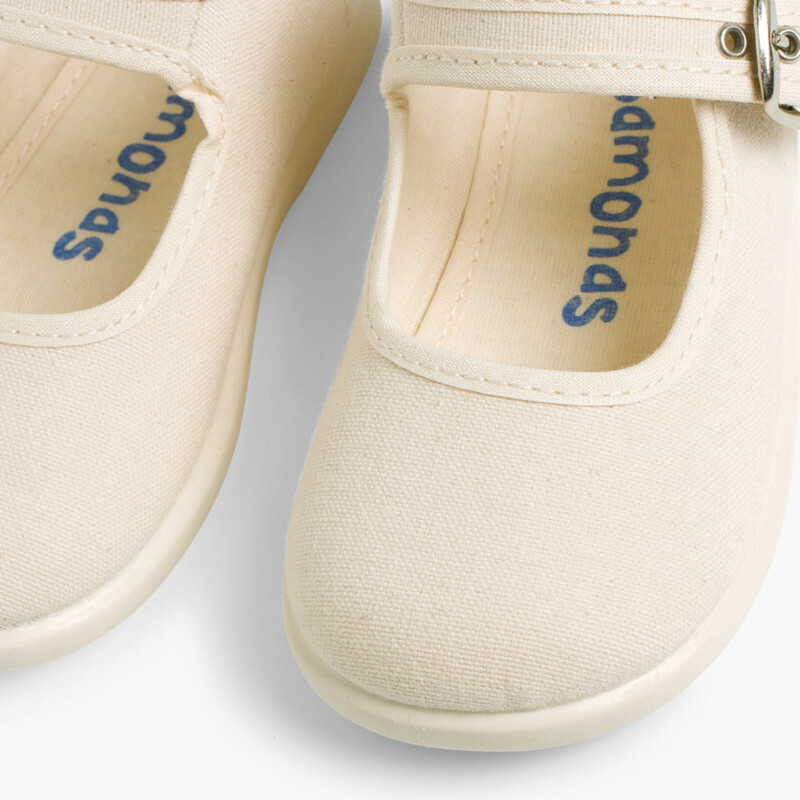 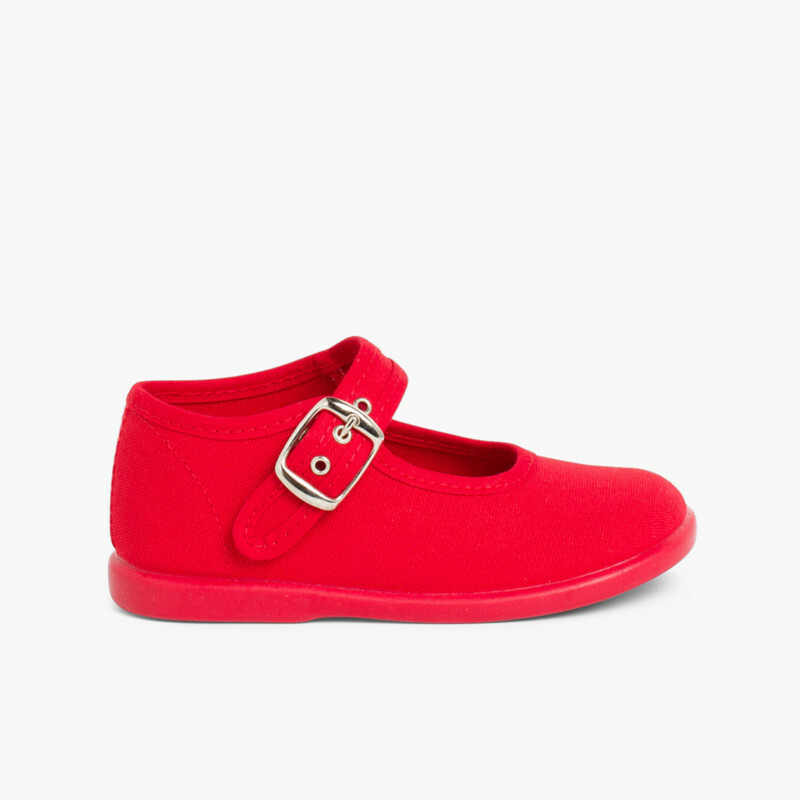 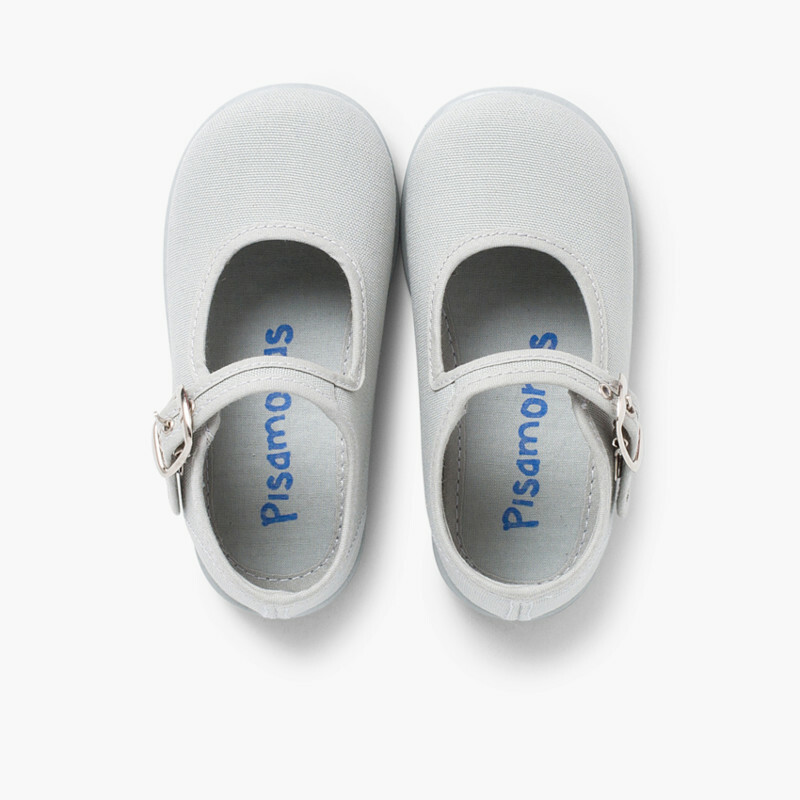 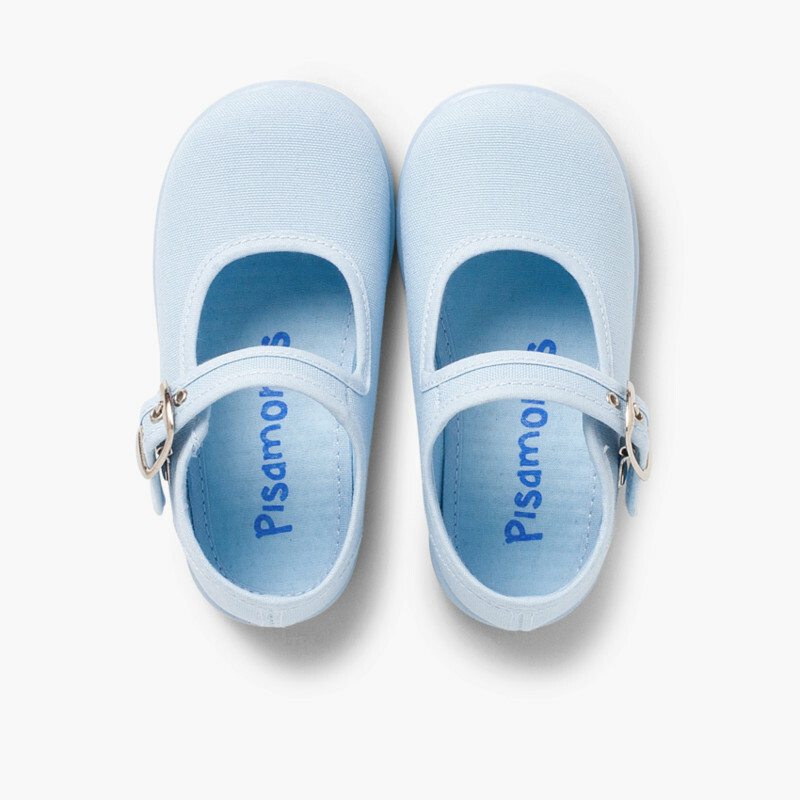 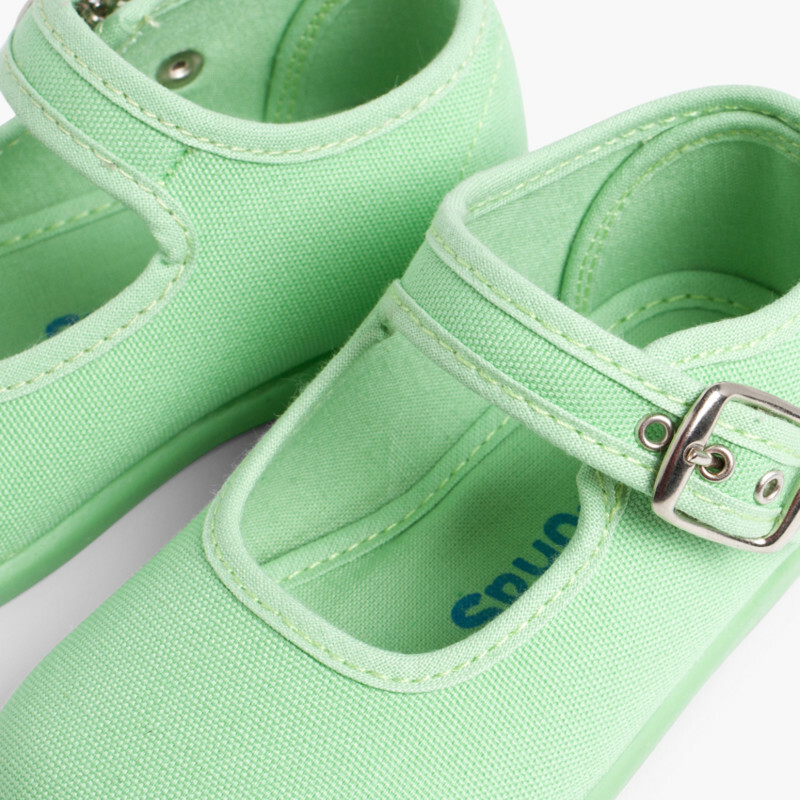 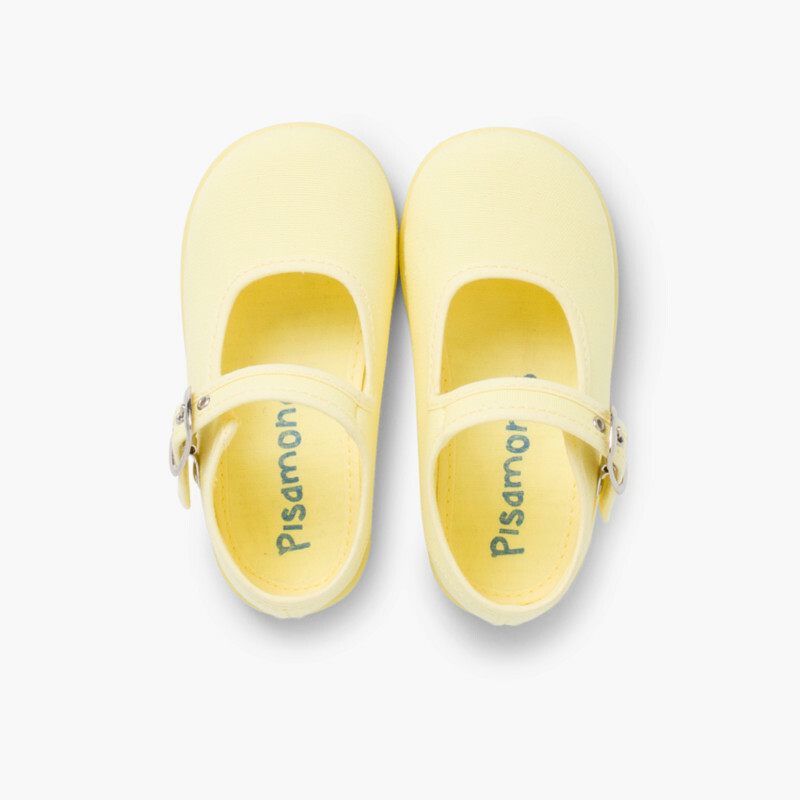 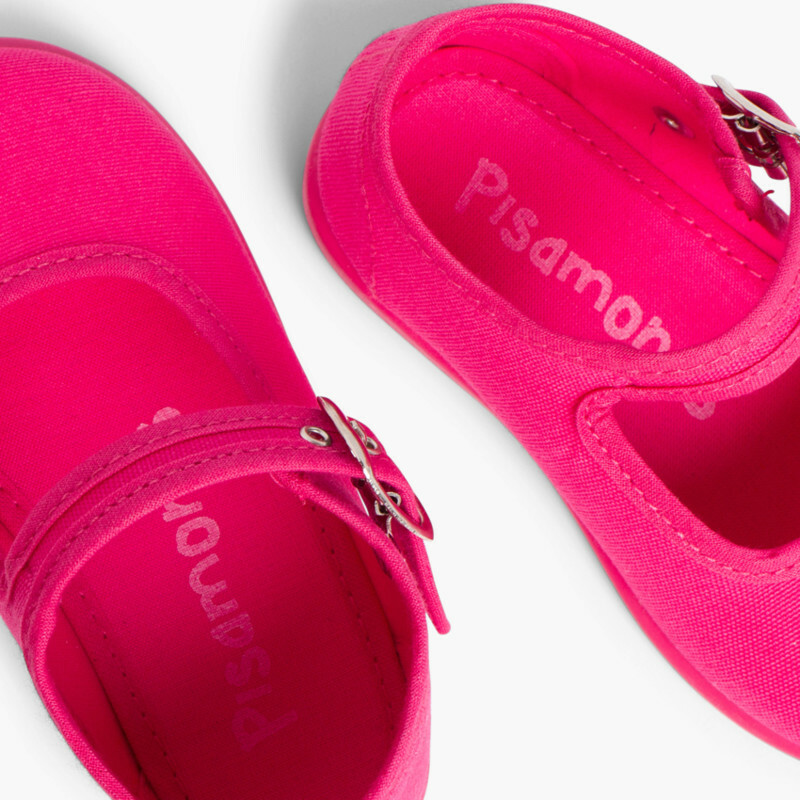 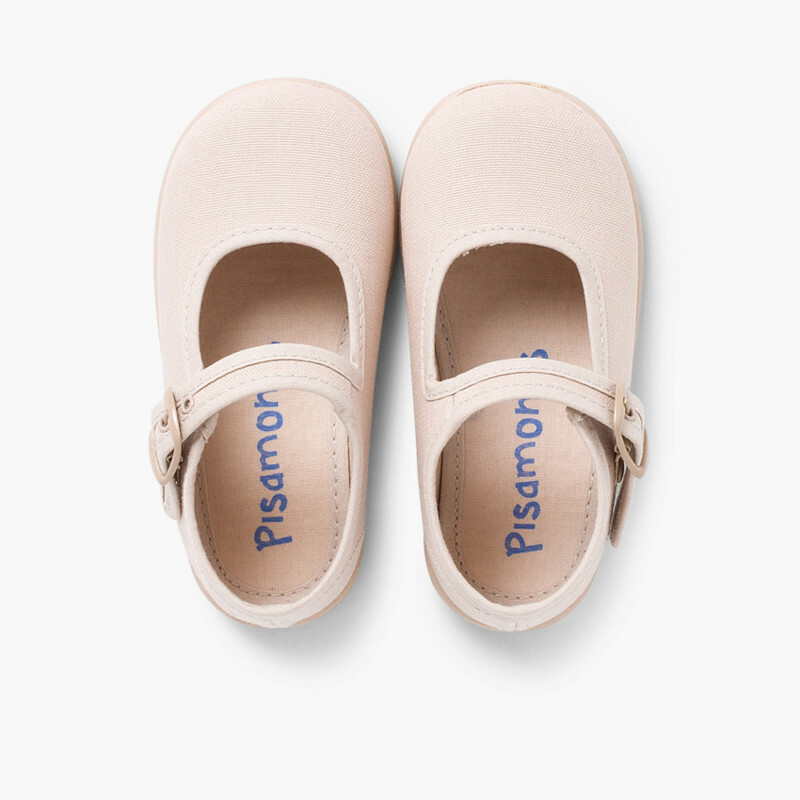 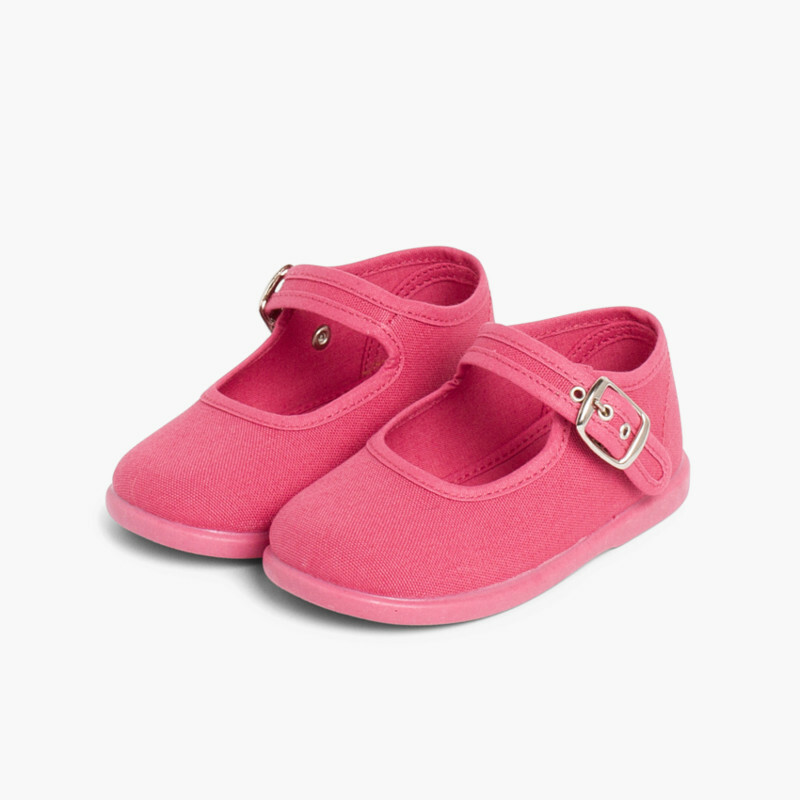 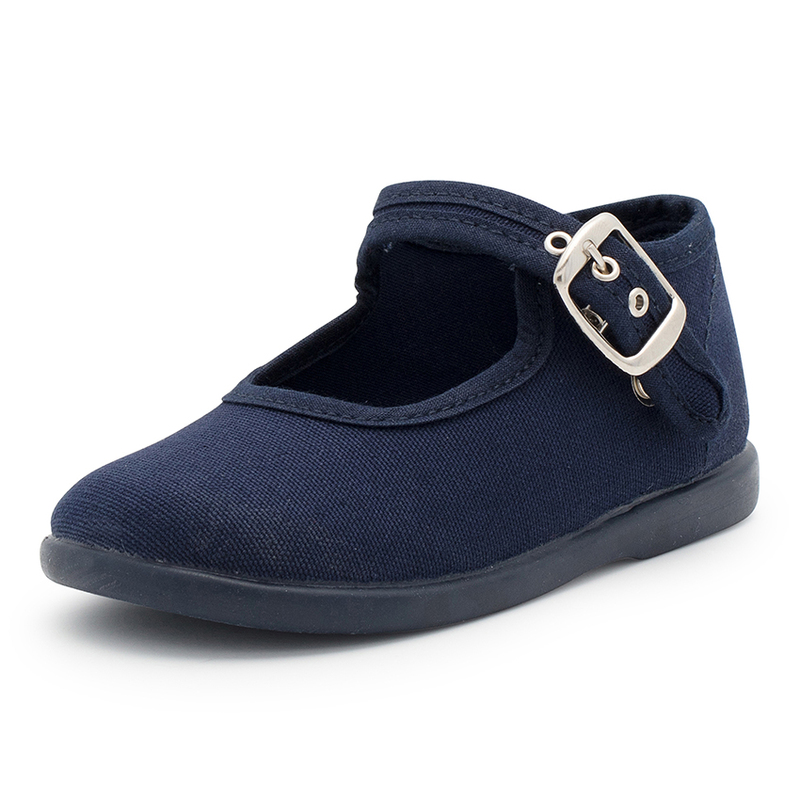 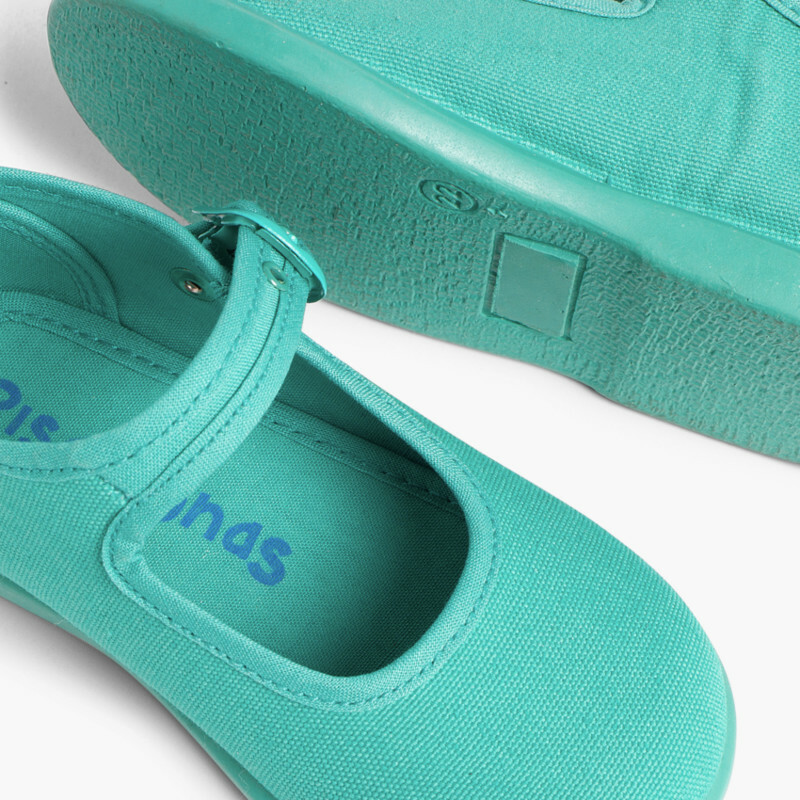 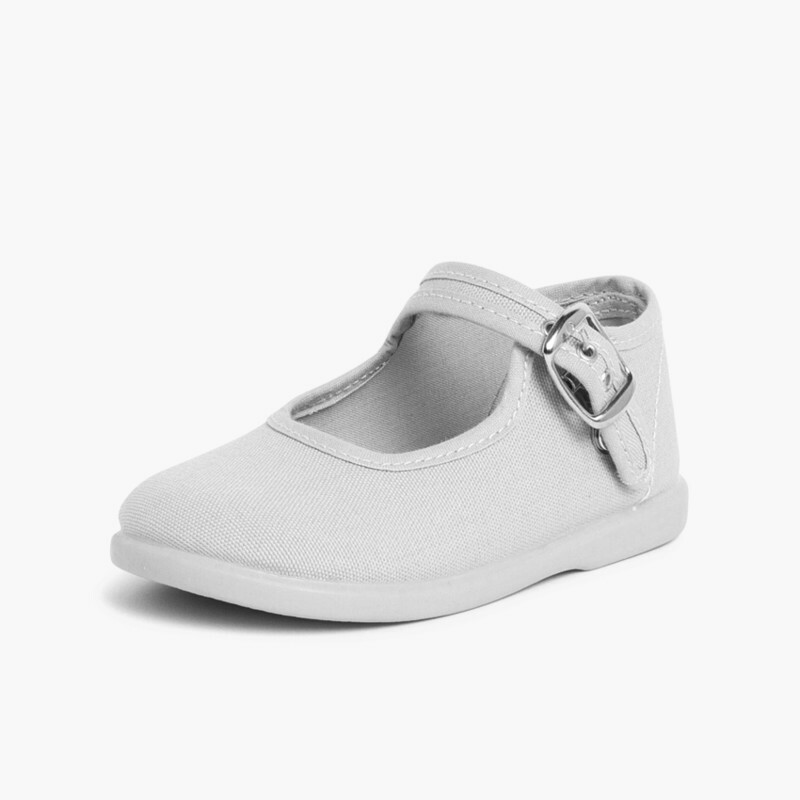 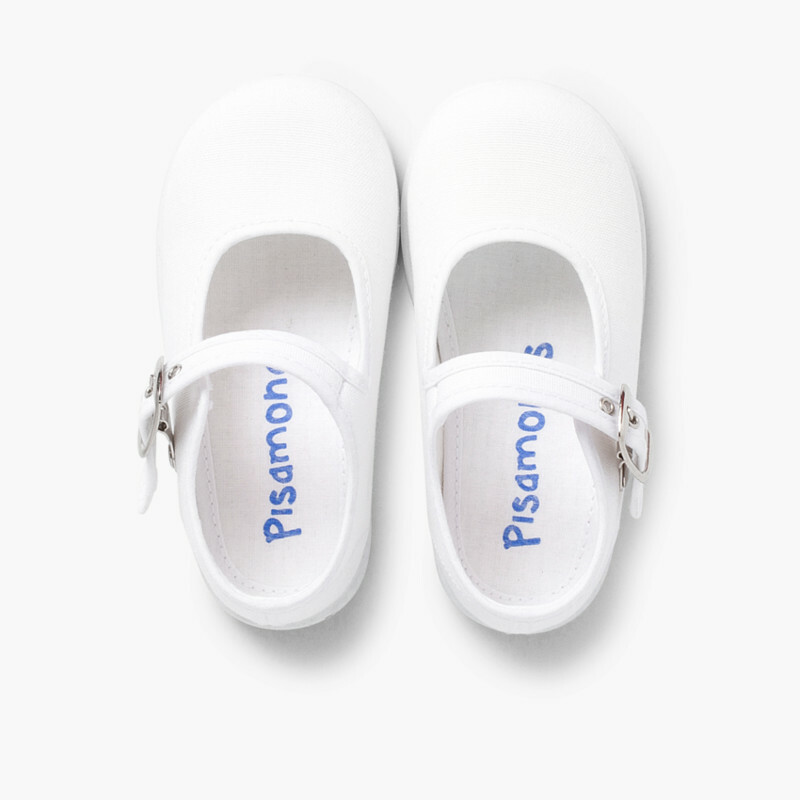 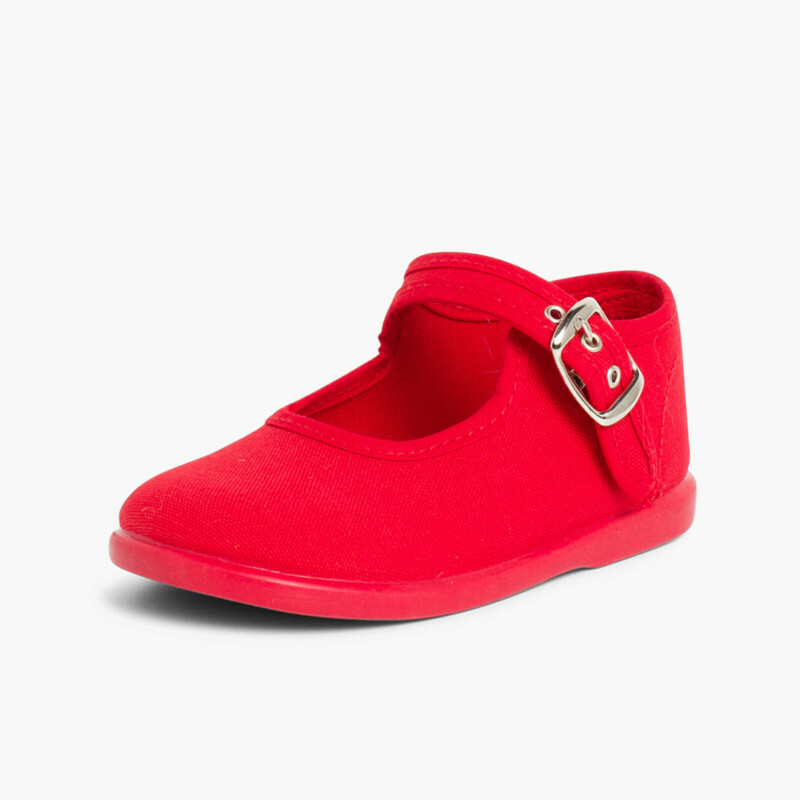 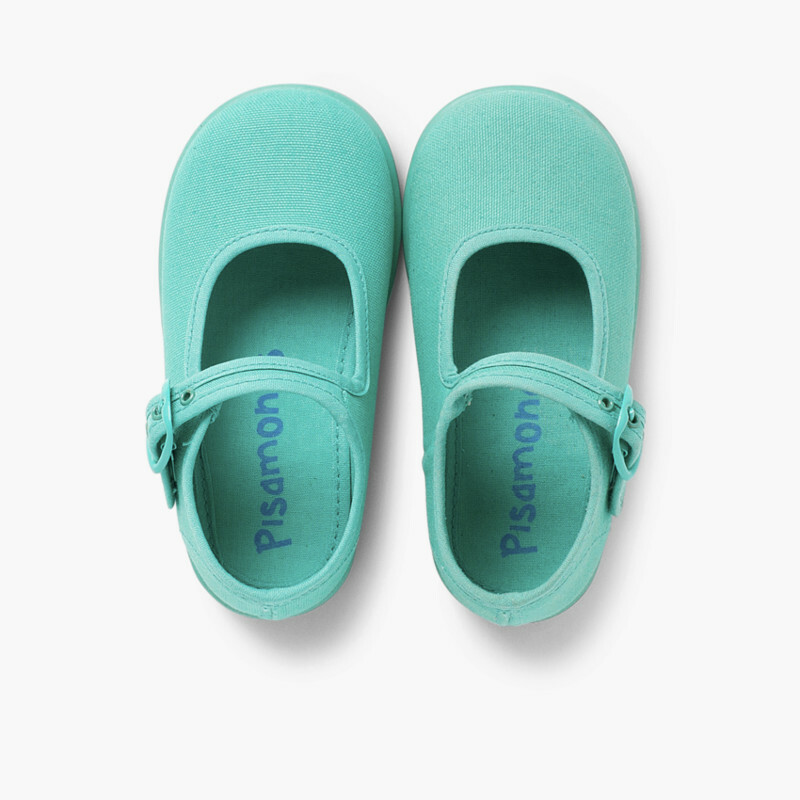 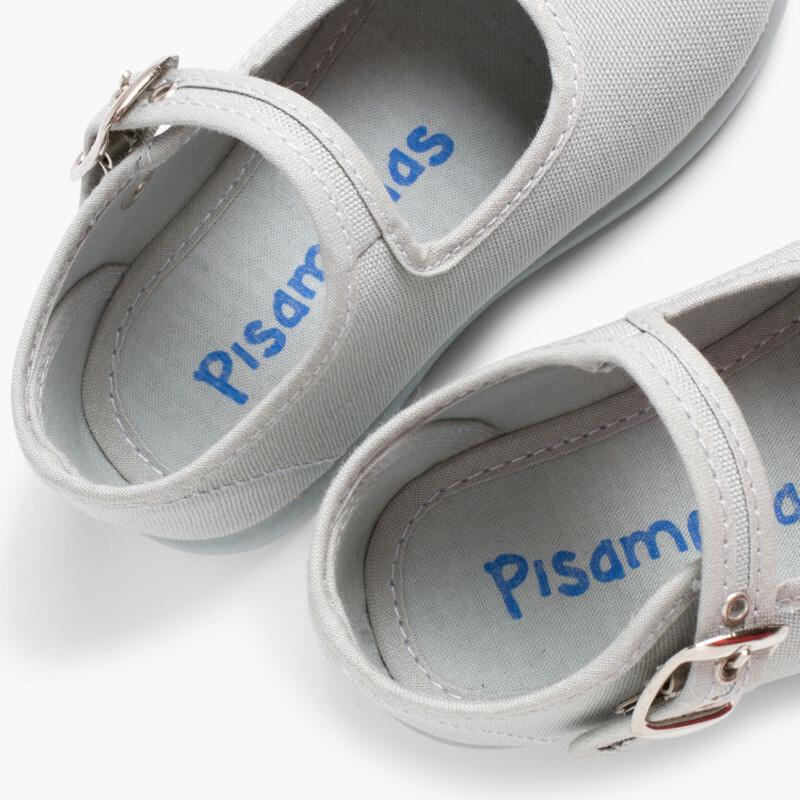 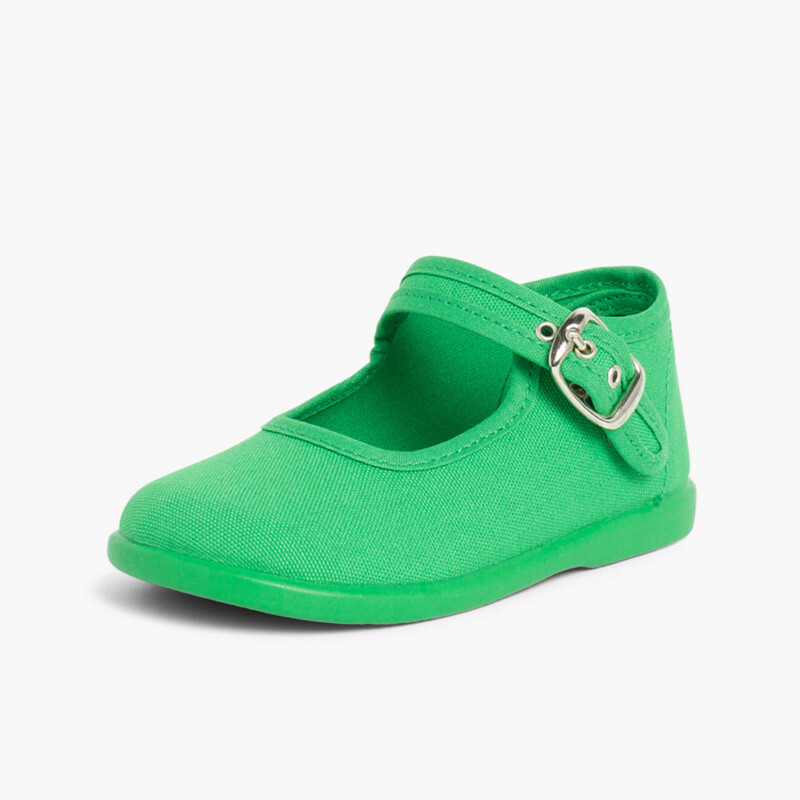 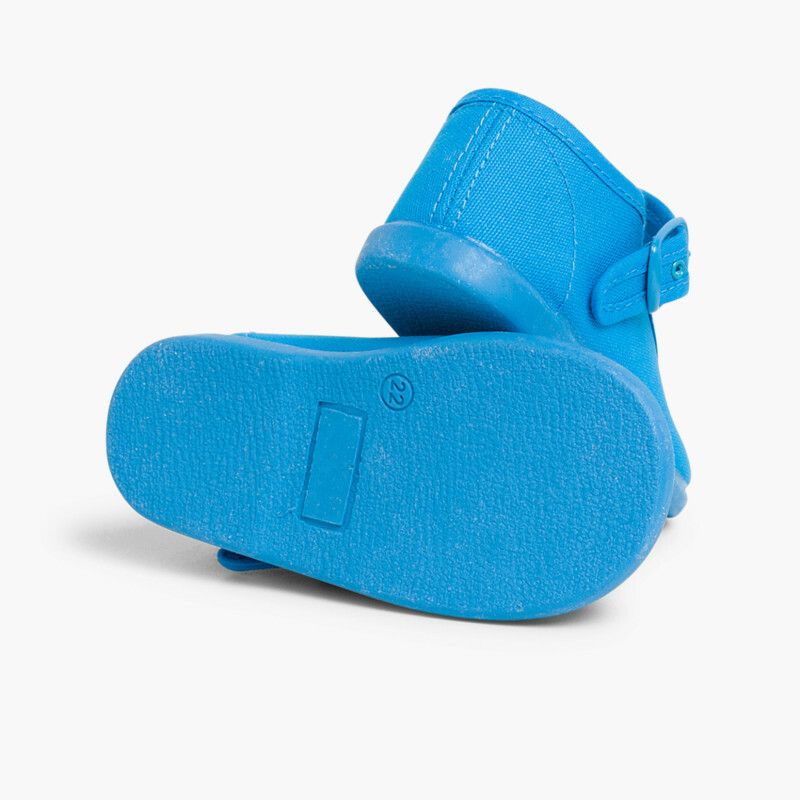 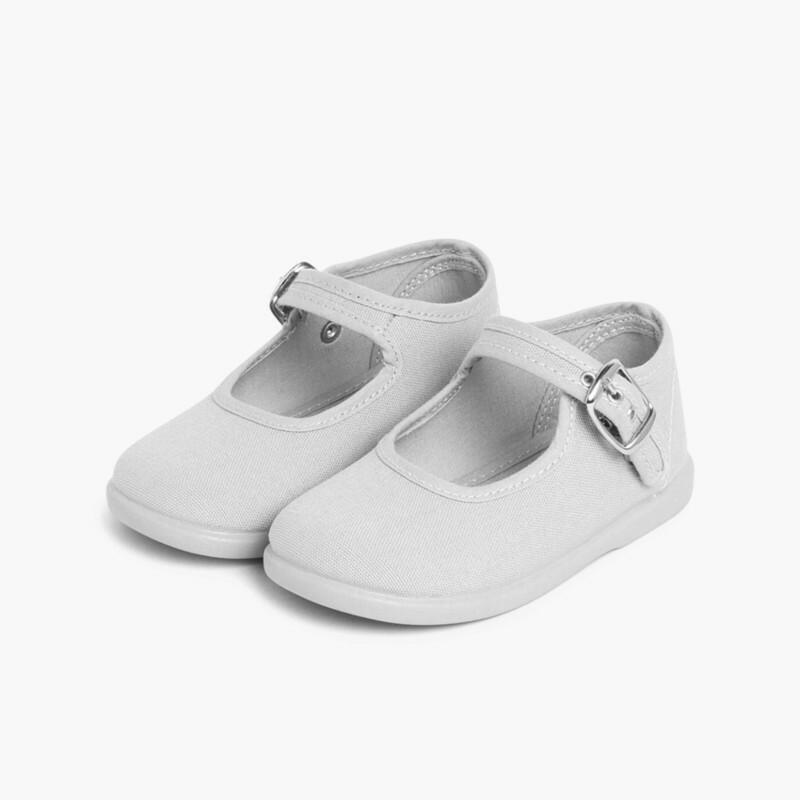 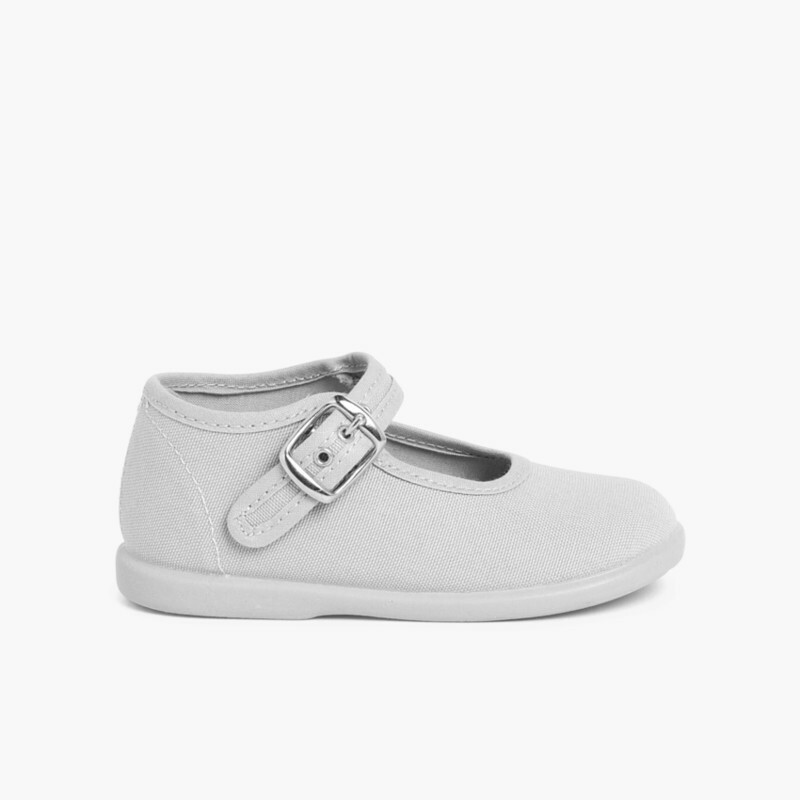 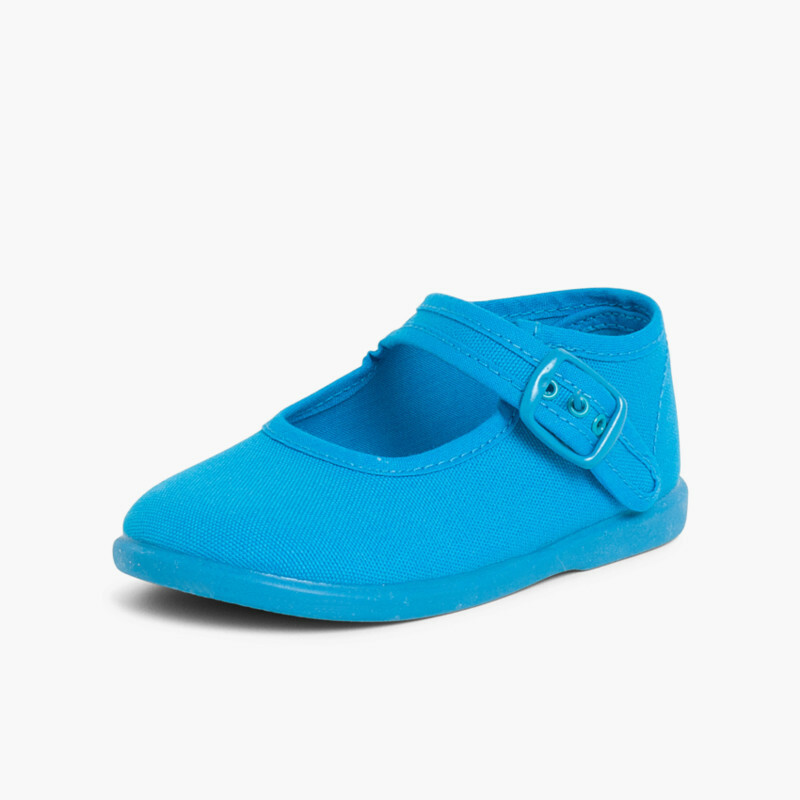 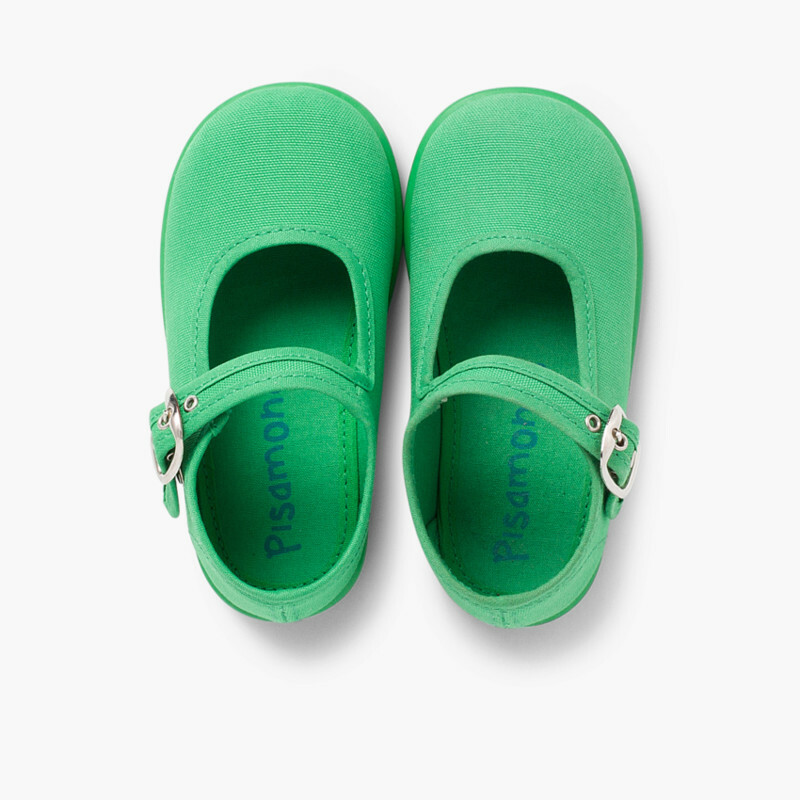 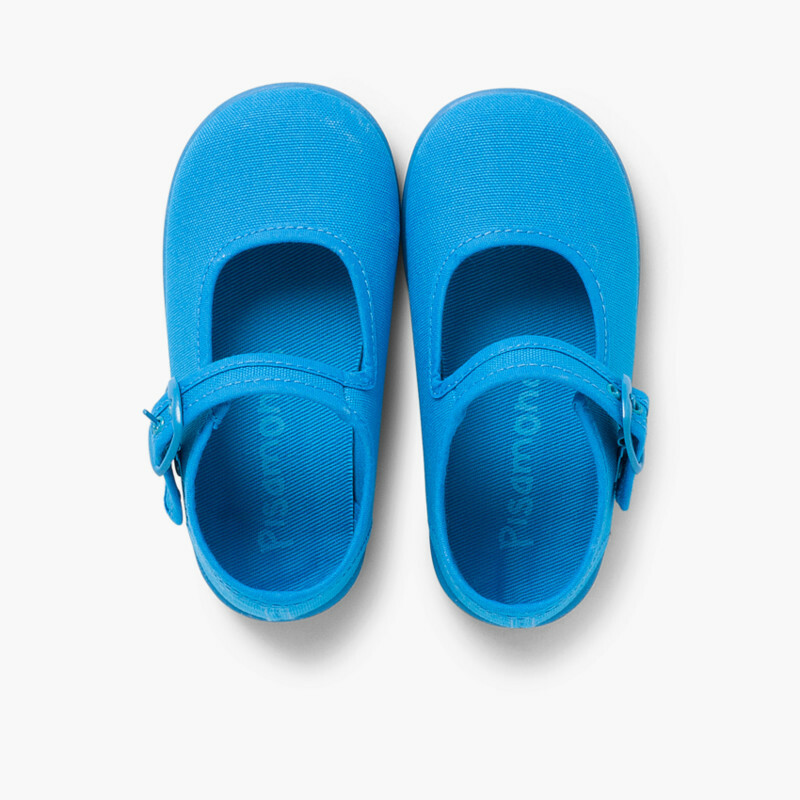 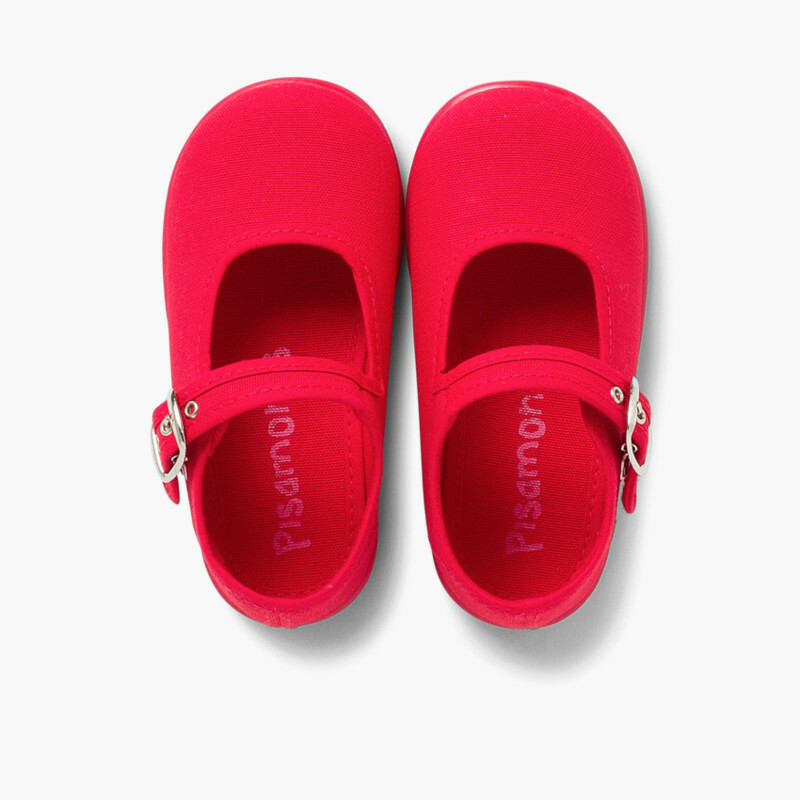 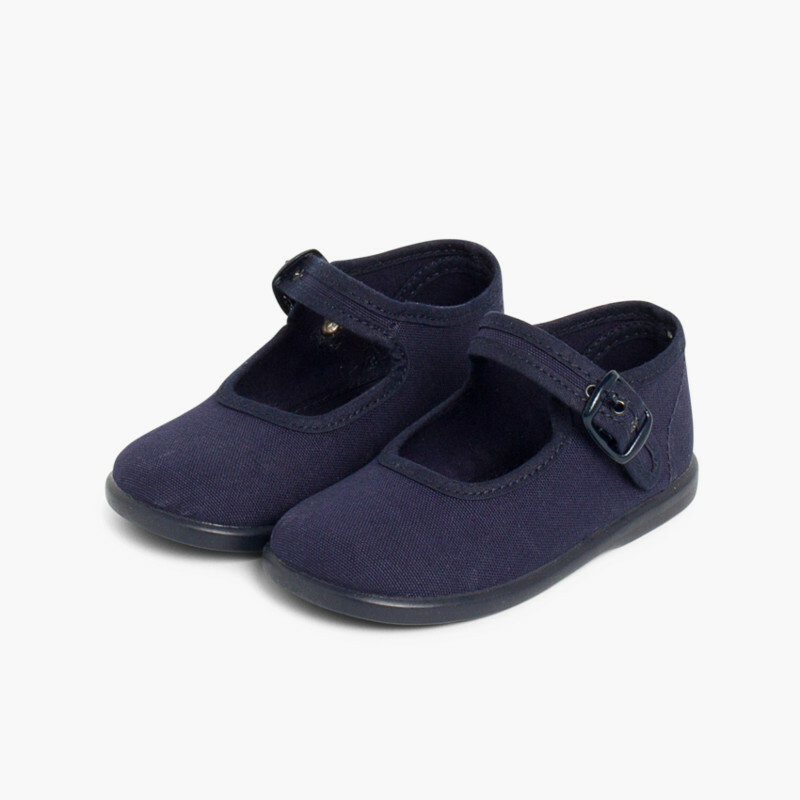 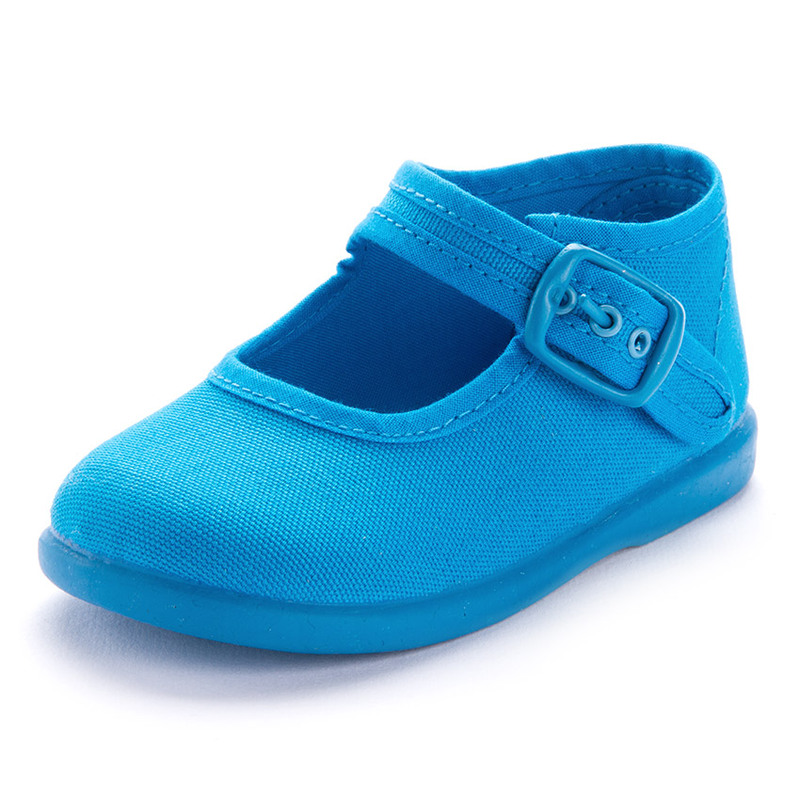 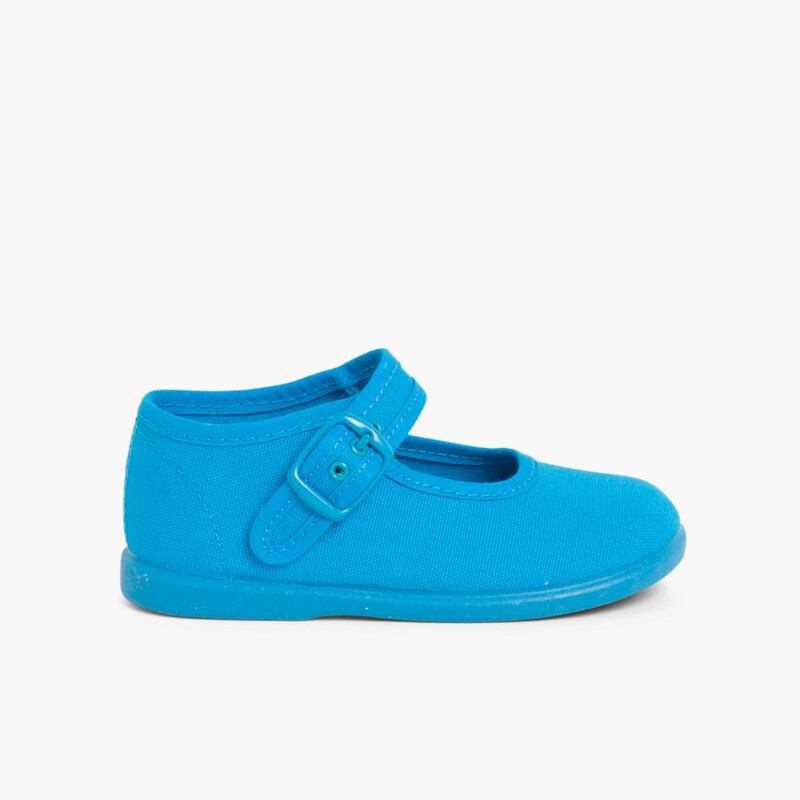 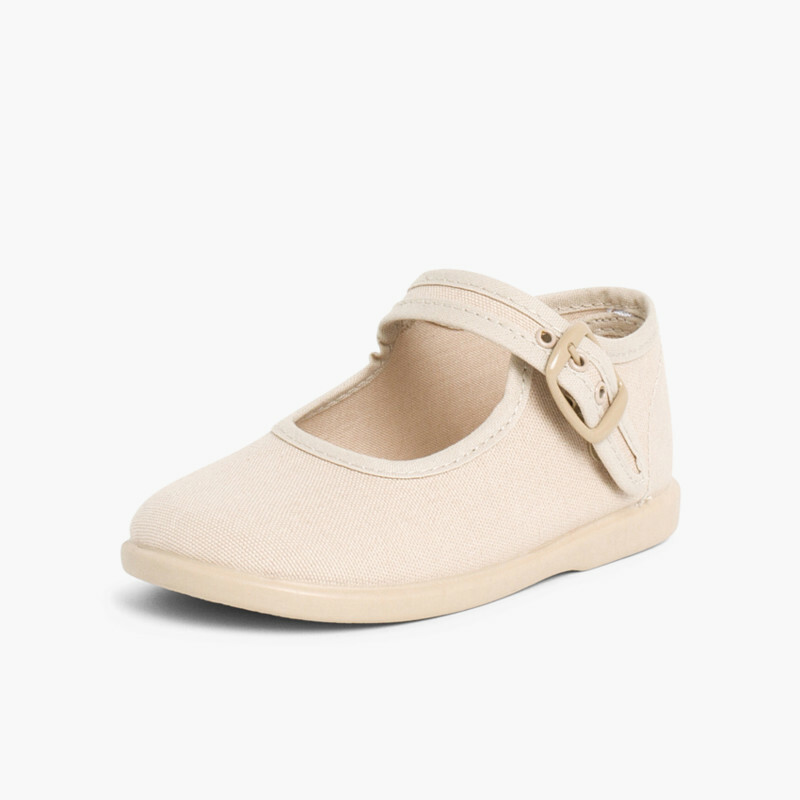 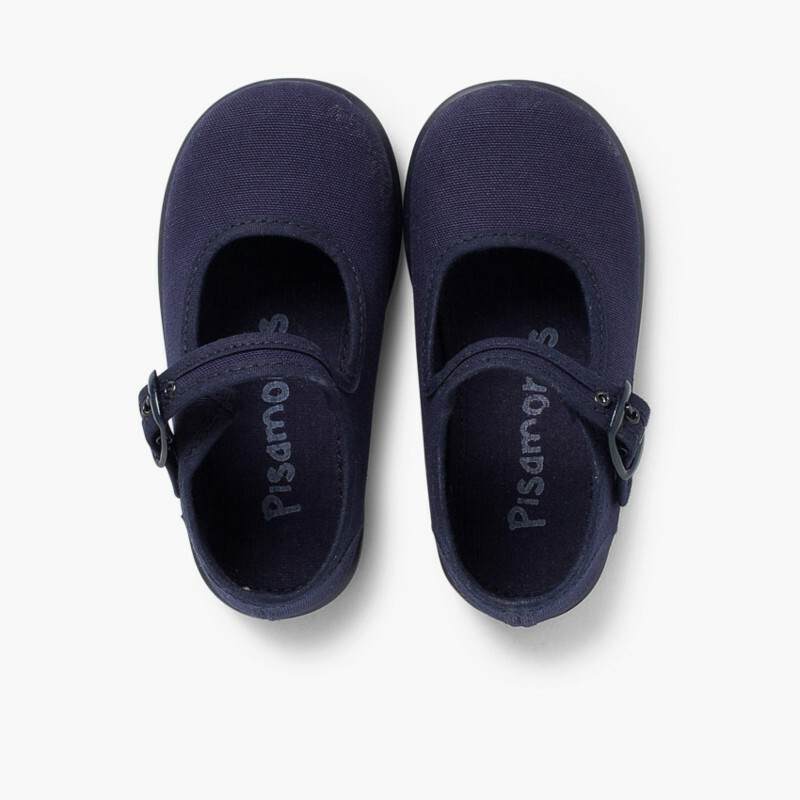 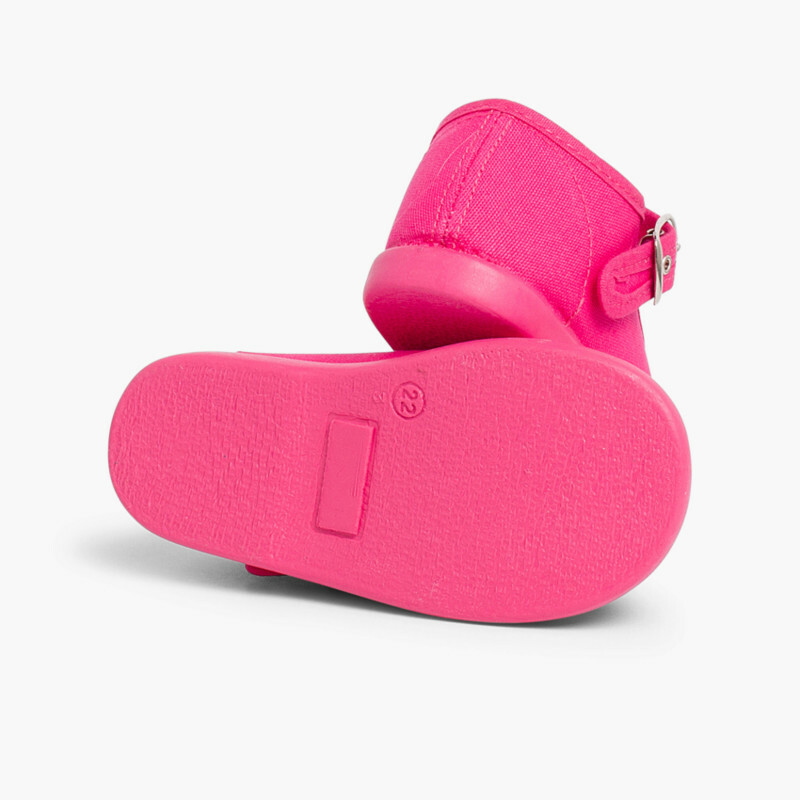 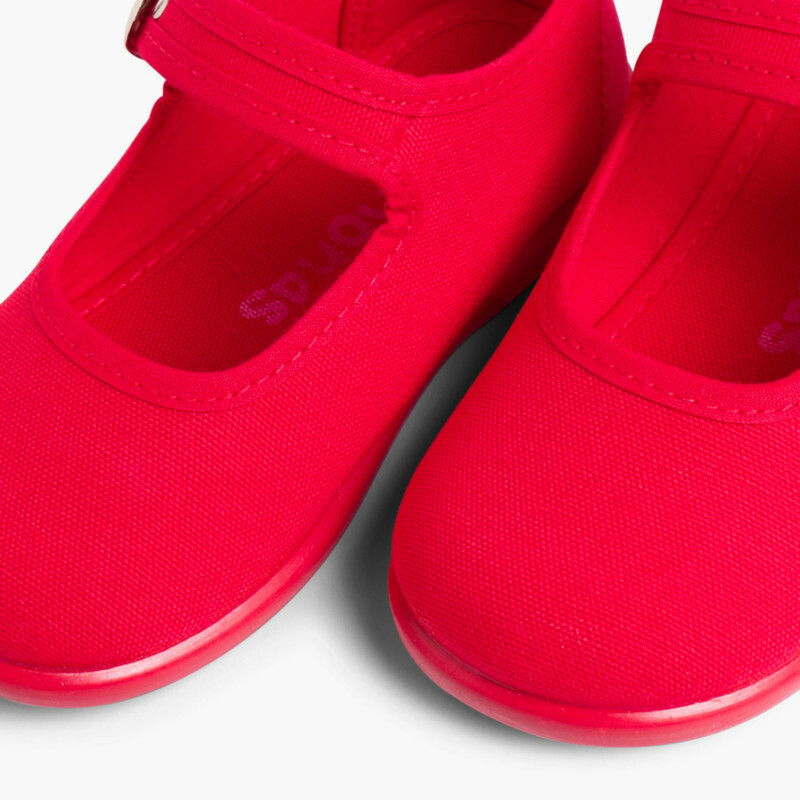 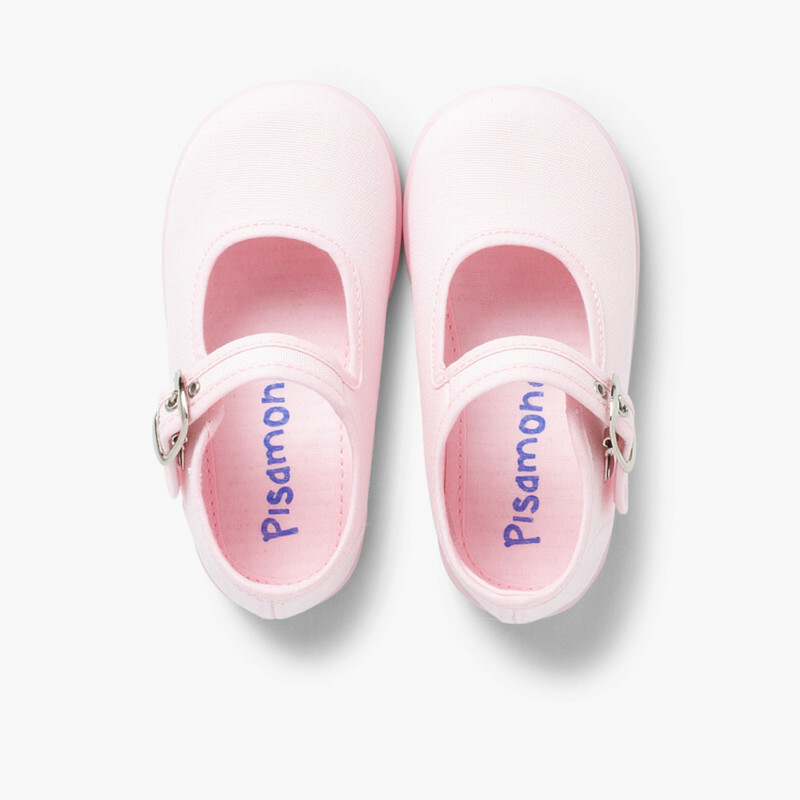 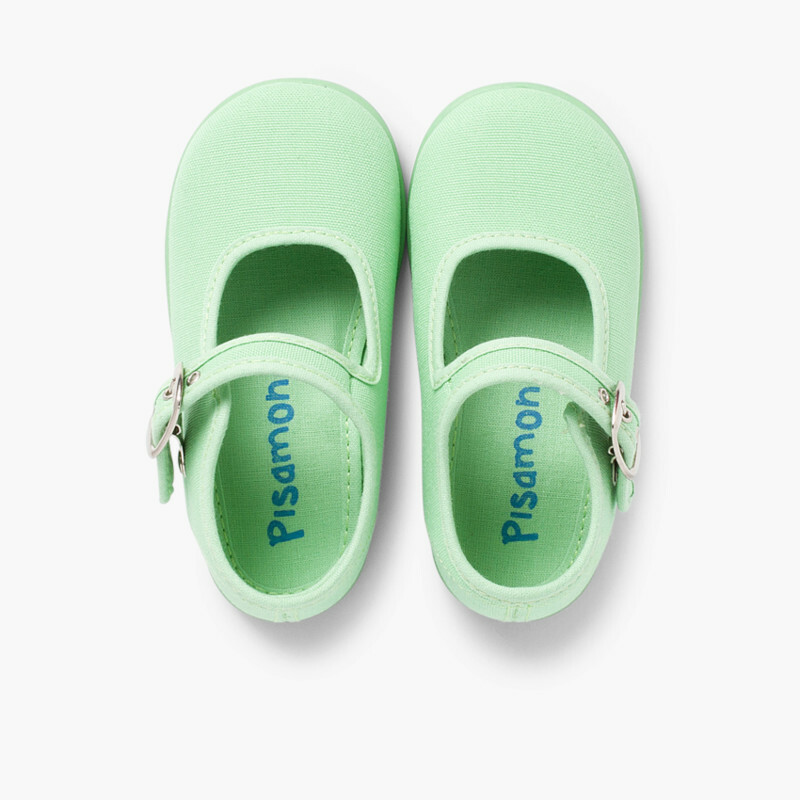 Washable canvas Mary Jane shoes with matching bottoms in 14 different colours. 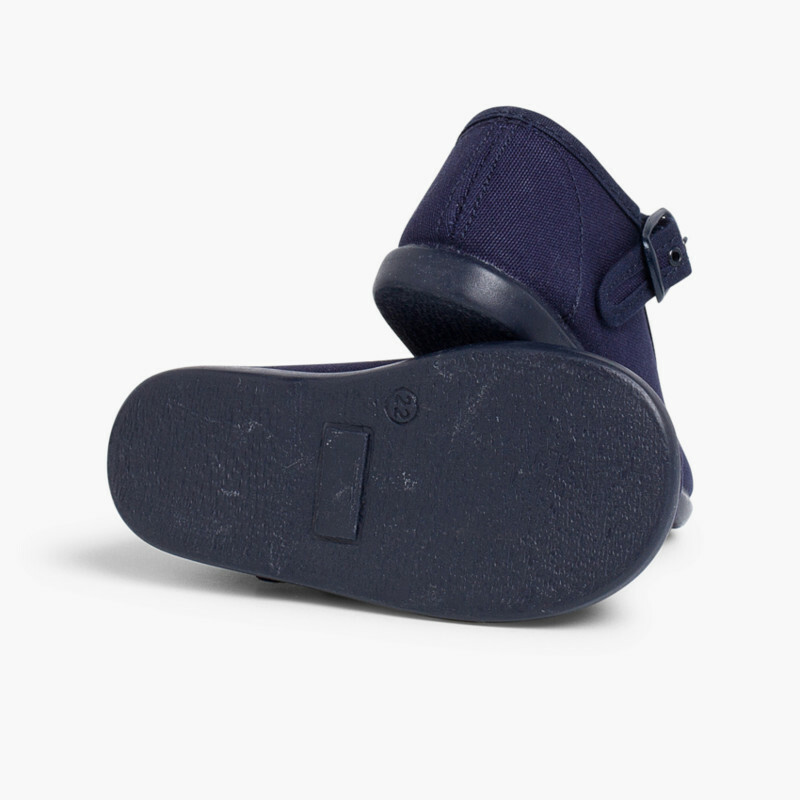 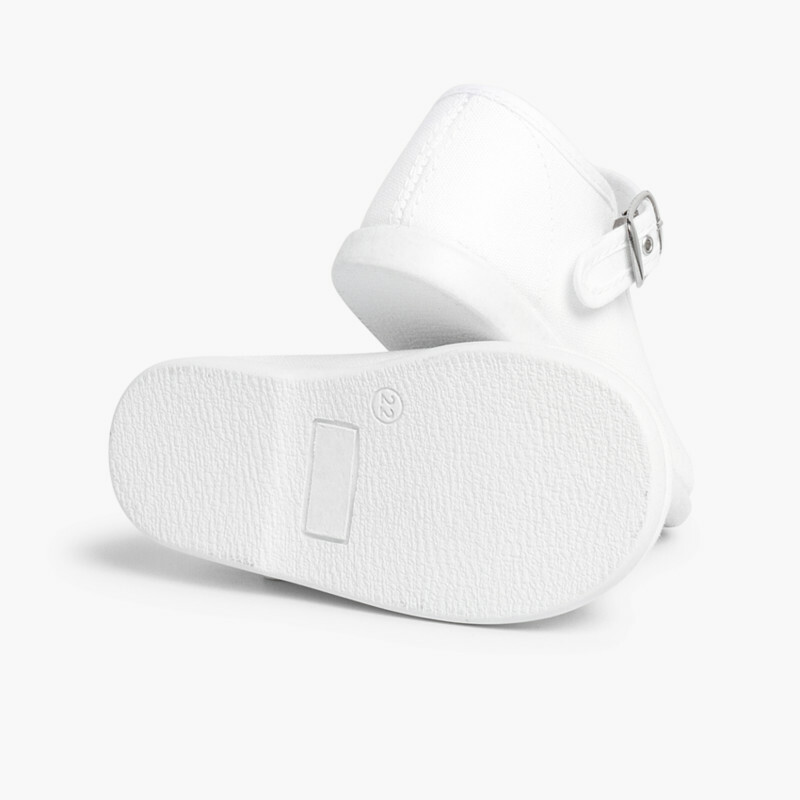 Natural Indian-rubber soles for a better grip on the floor. 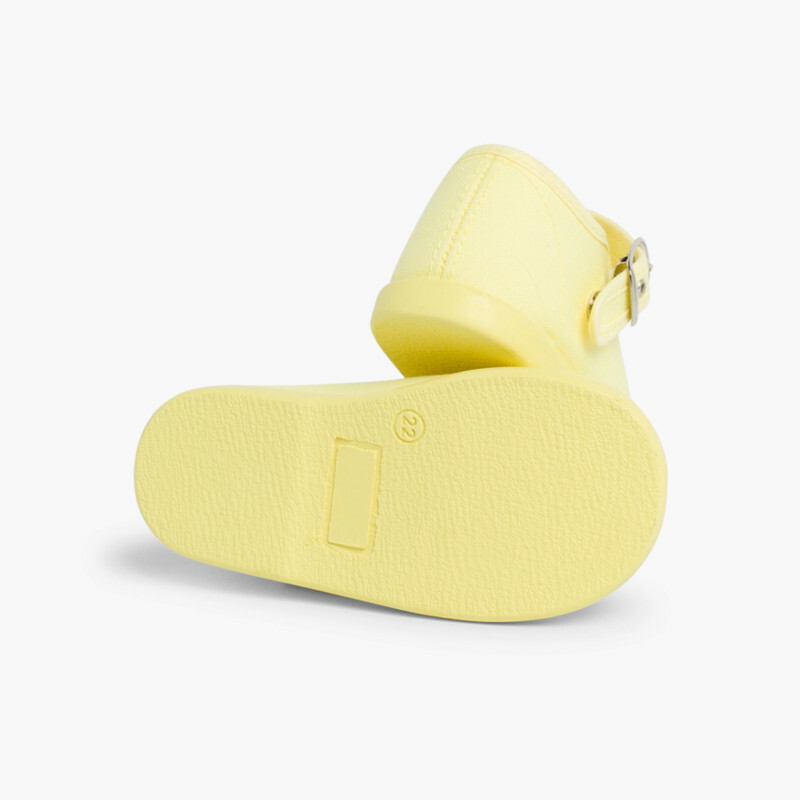 High quality shoes and so cheap that you can buy them in several colours to match all their outfits. Beautiful pink colour!! My baby looks really happy witt them\nI will definately buy more in different colours!\nSuperquick delivery and the free balloon make her day!! 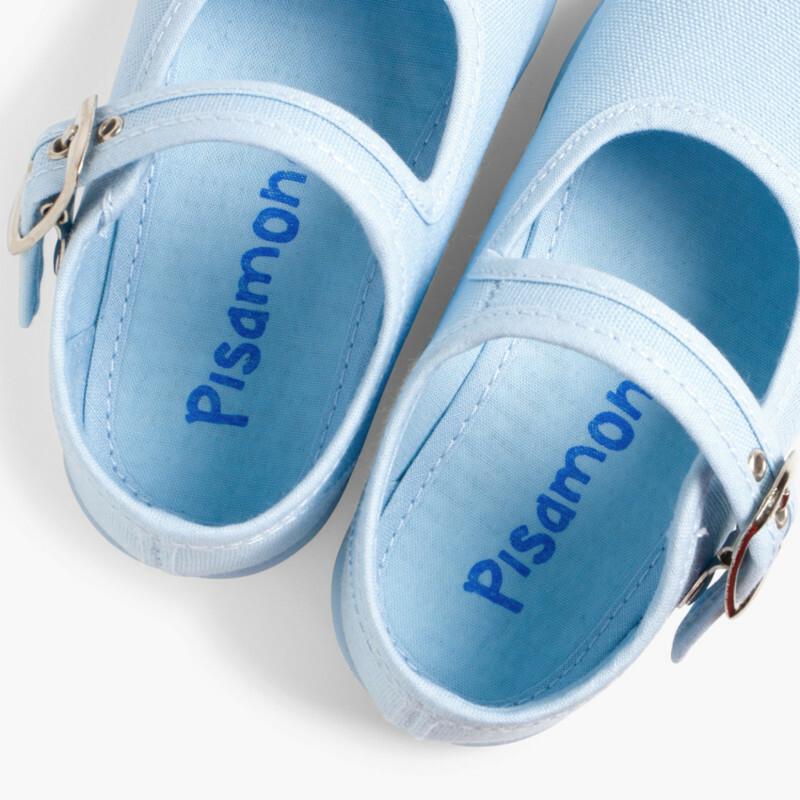 \nThanks a lot!! 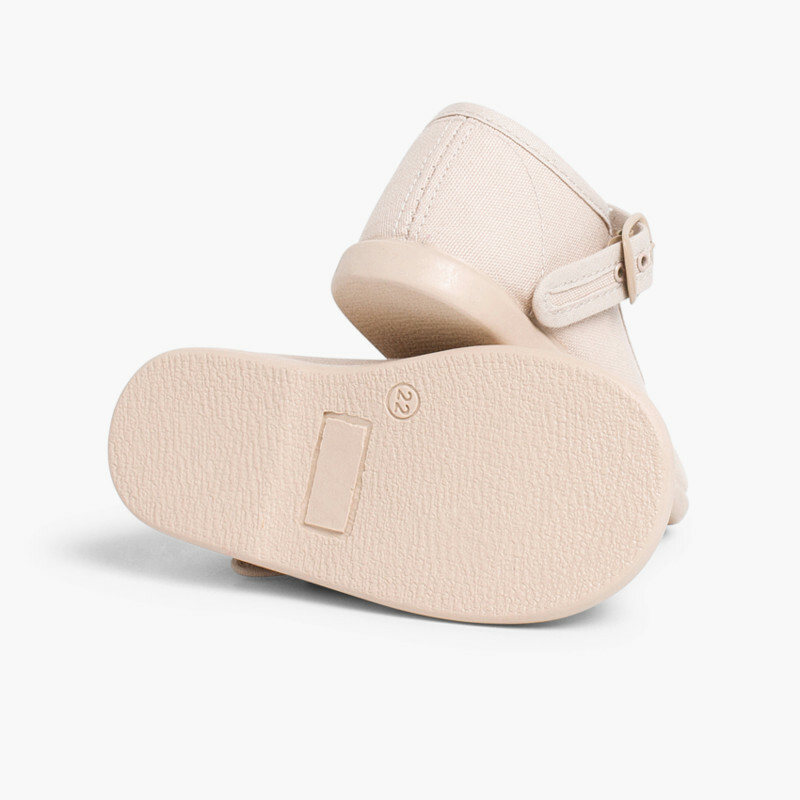 very good quality and easy to use. 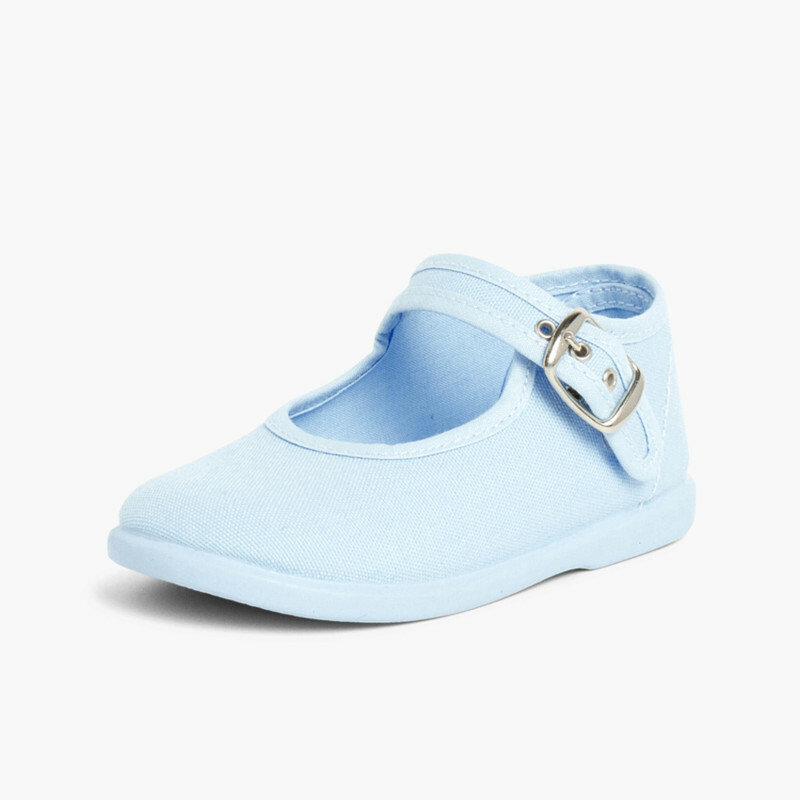 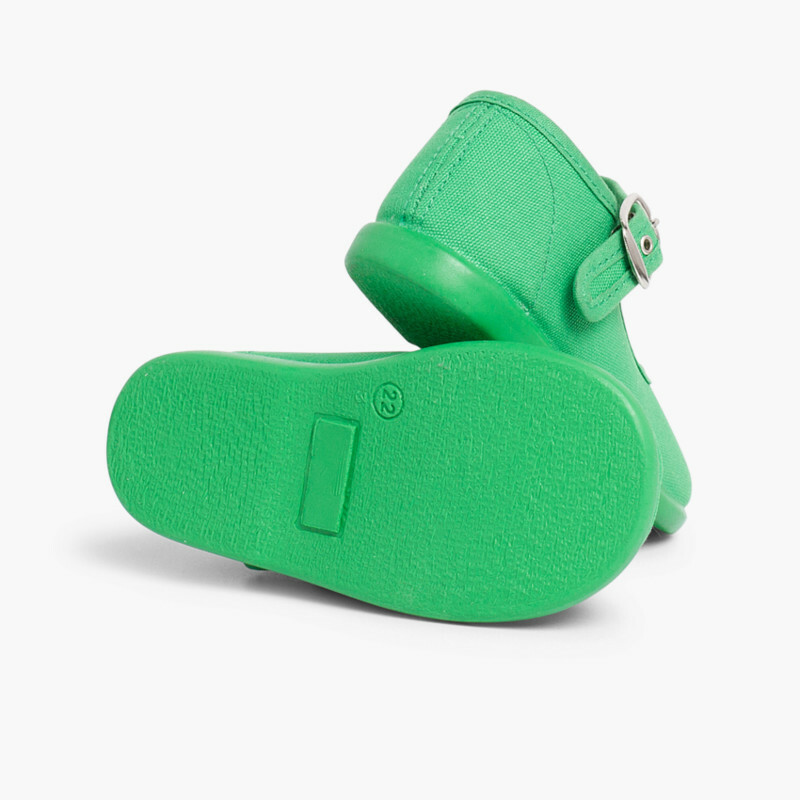 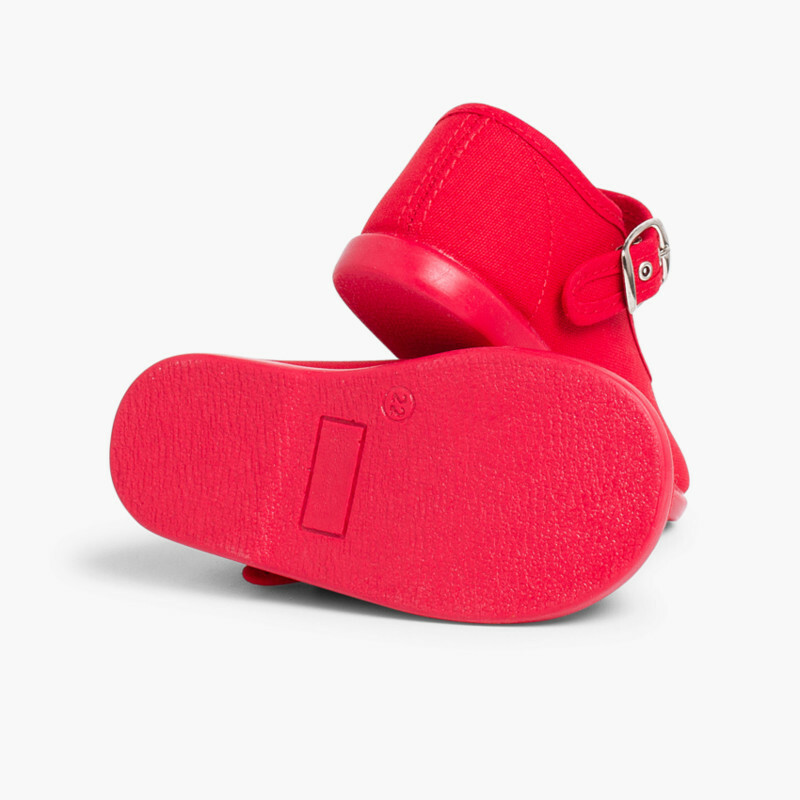 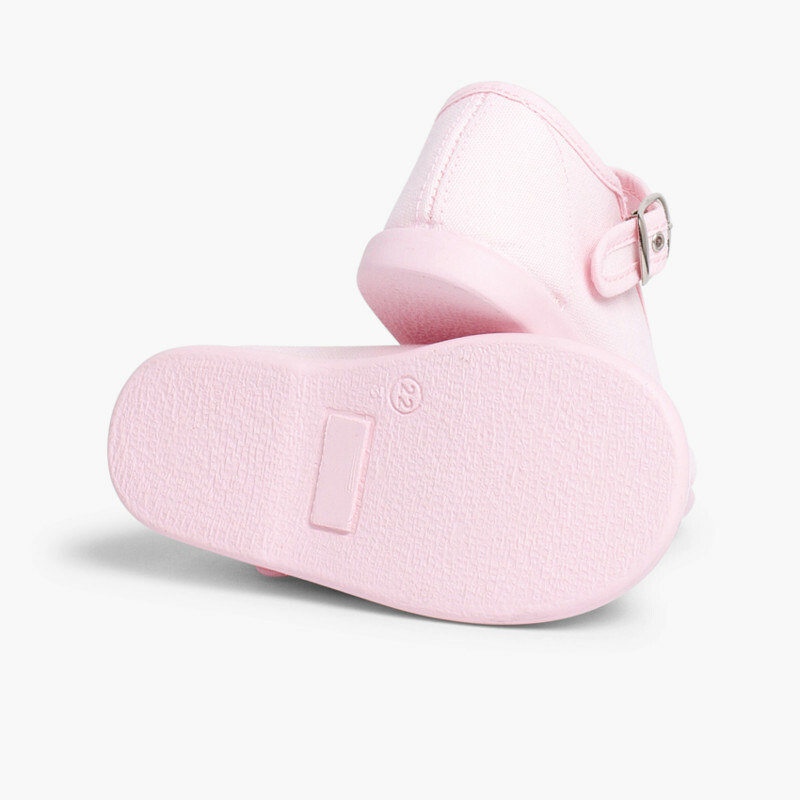 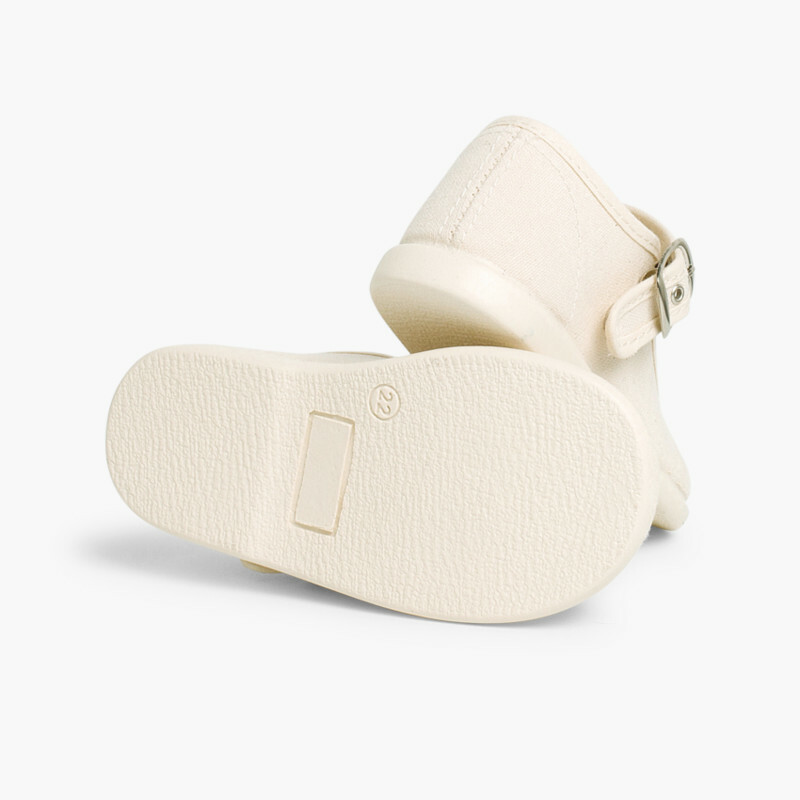 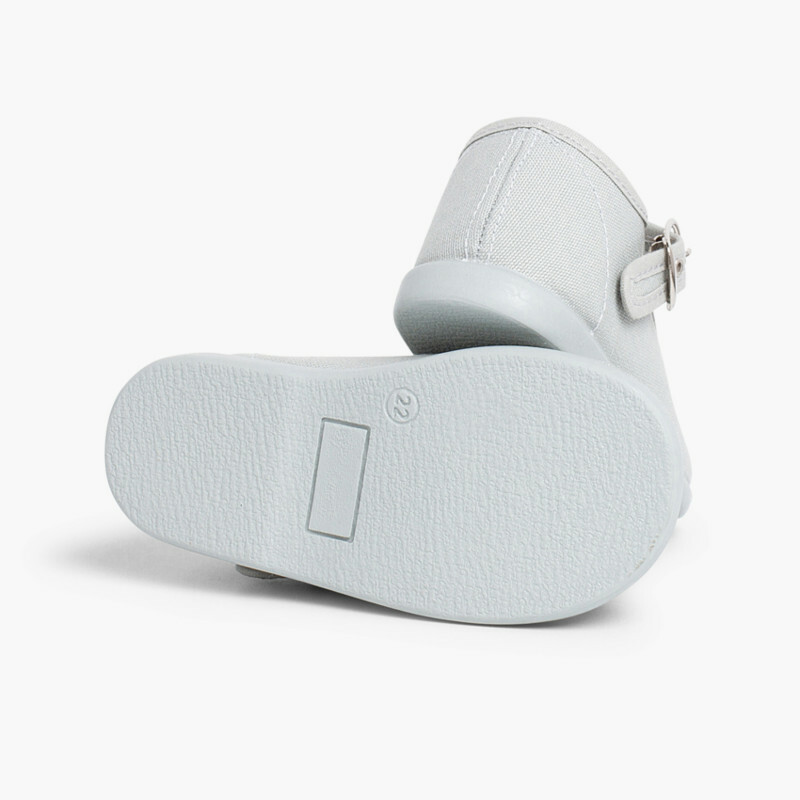 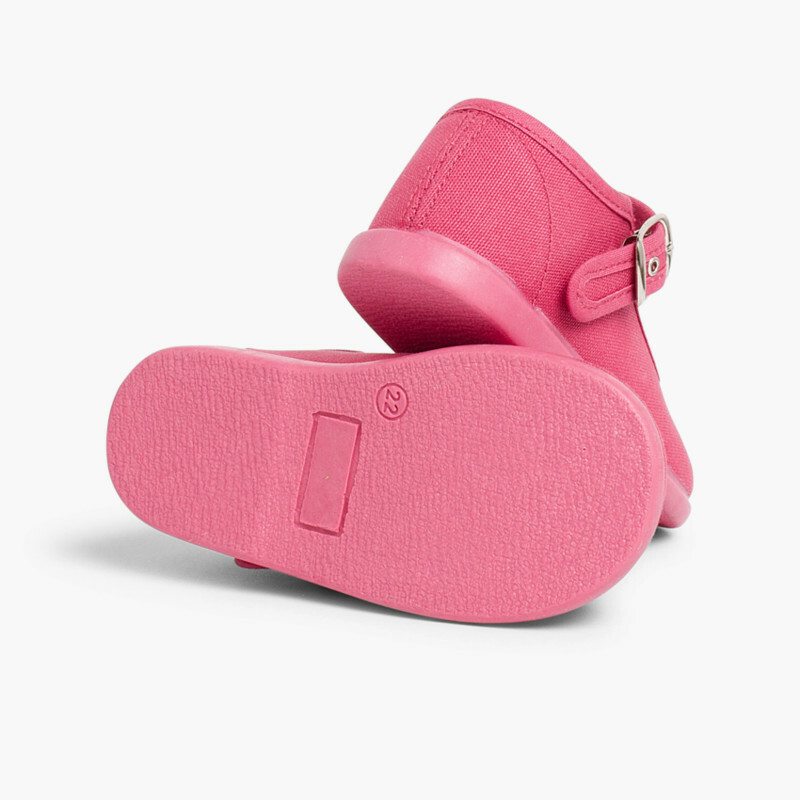 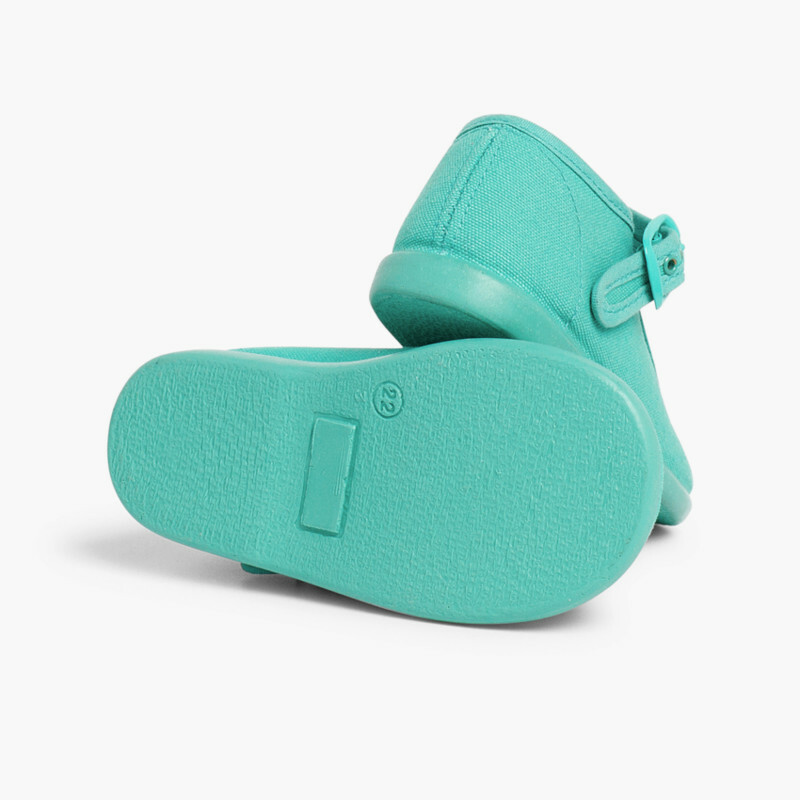 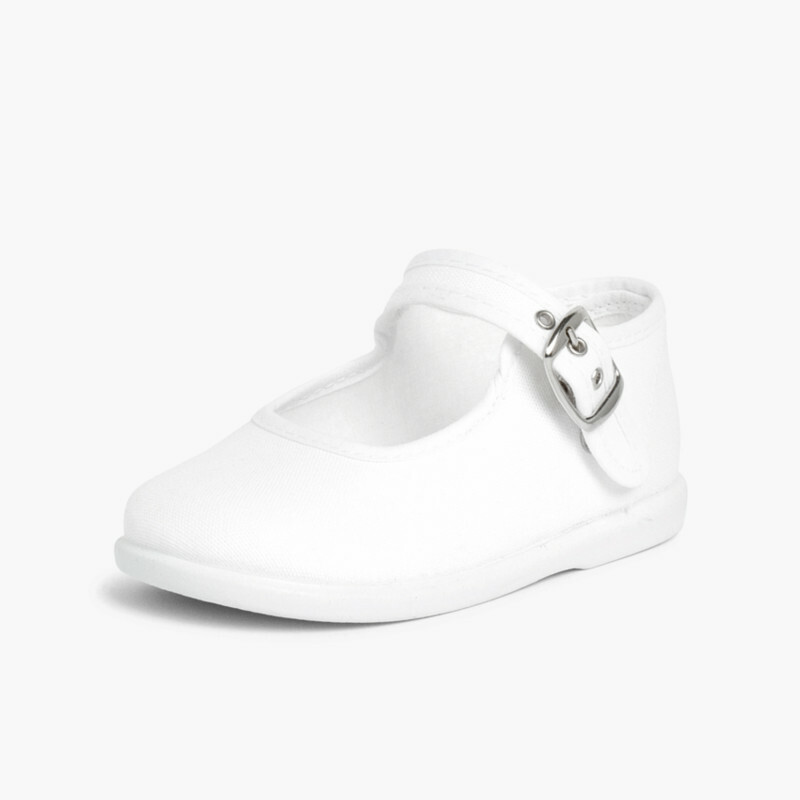 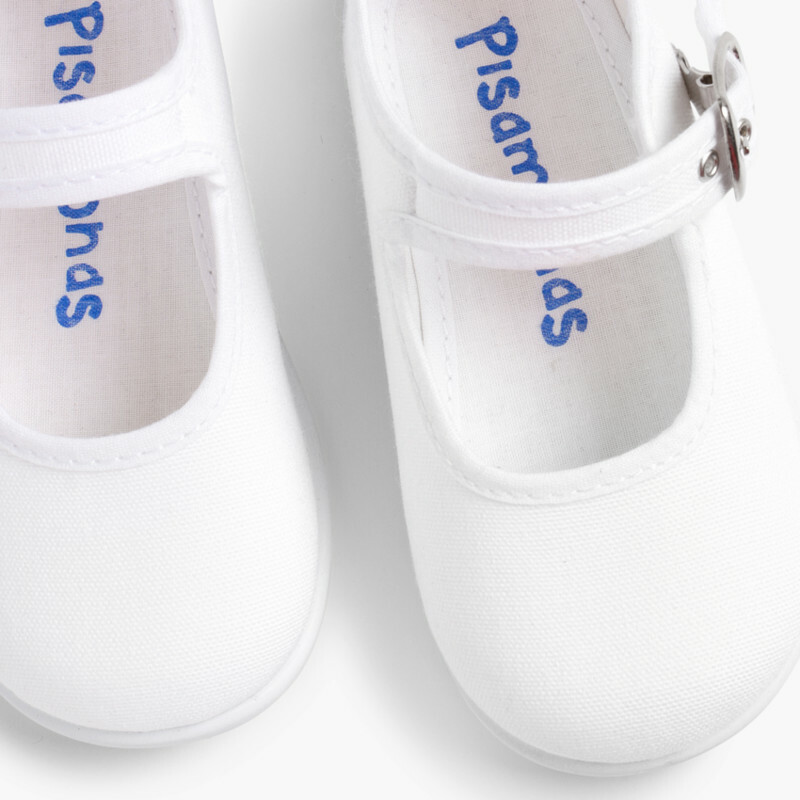 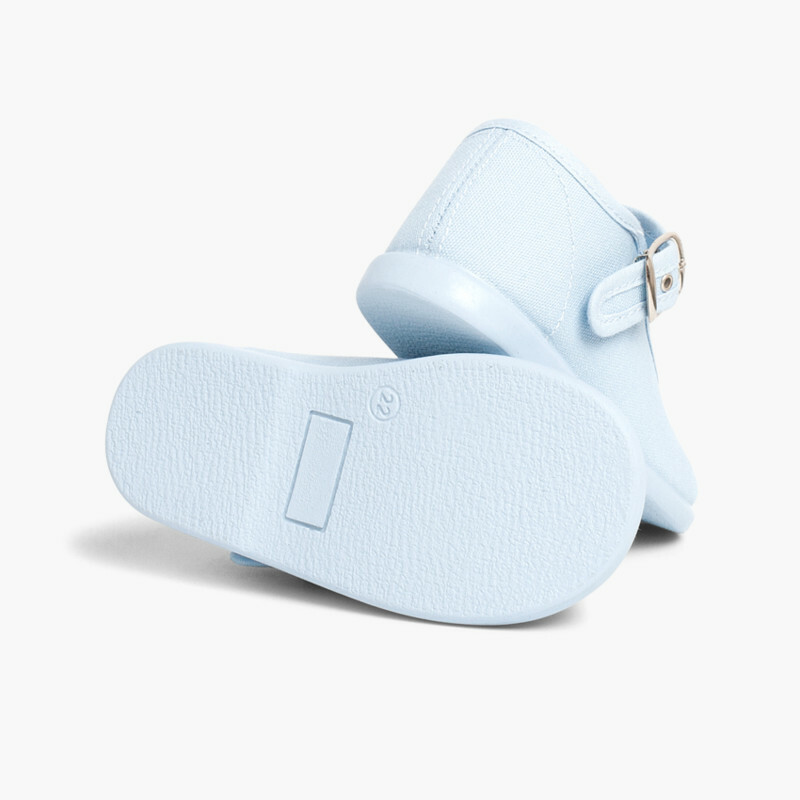 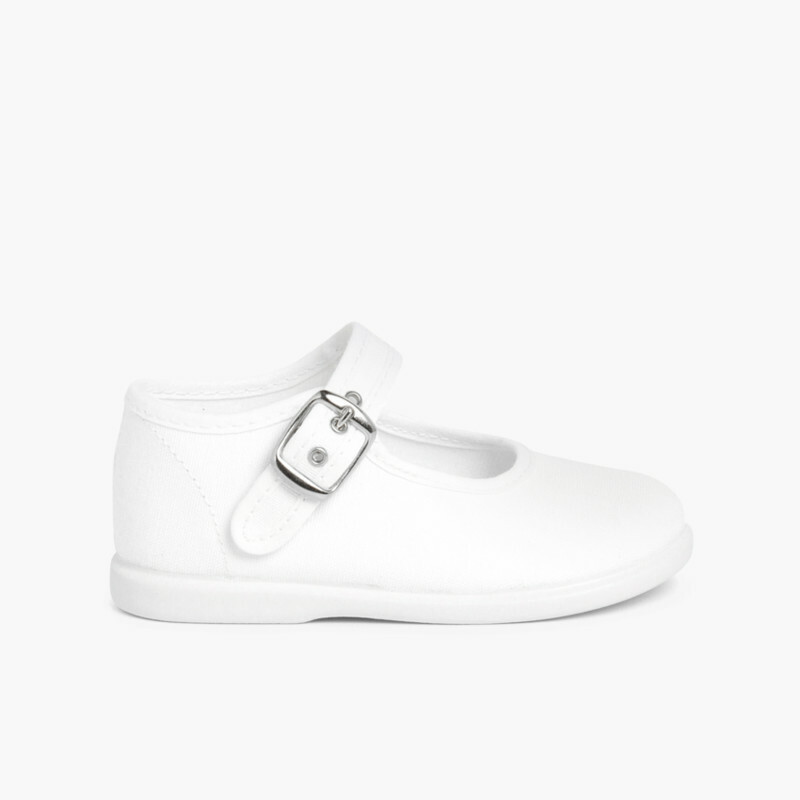 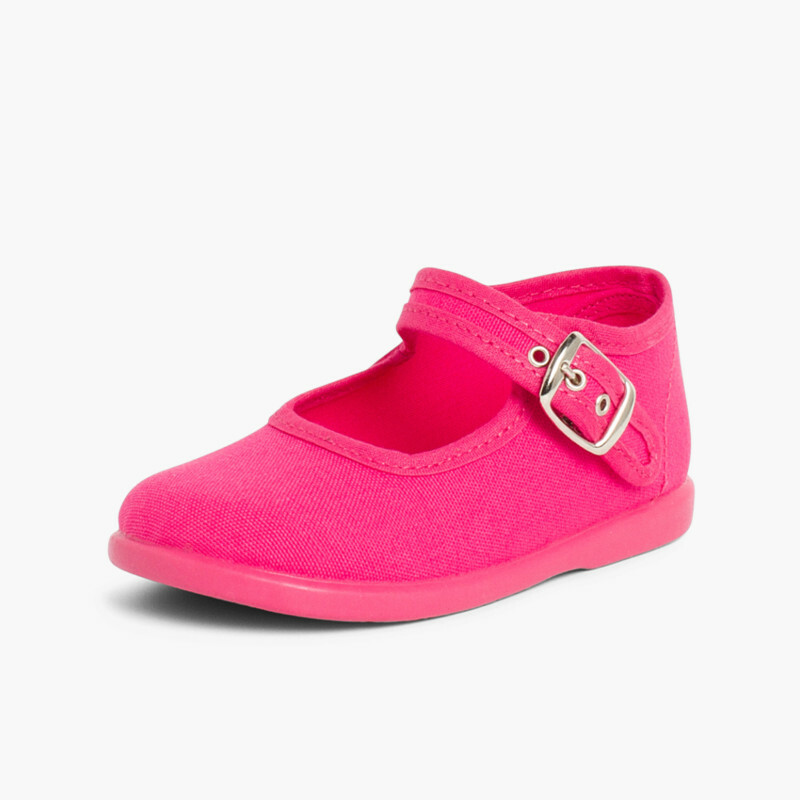 beautiful on baby's feet.